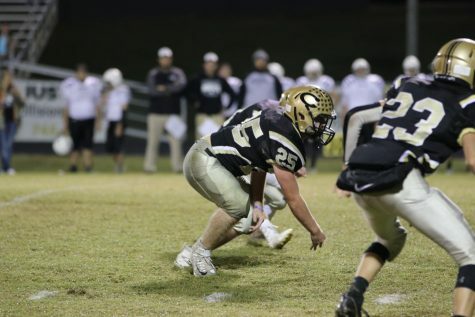 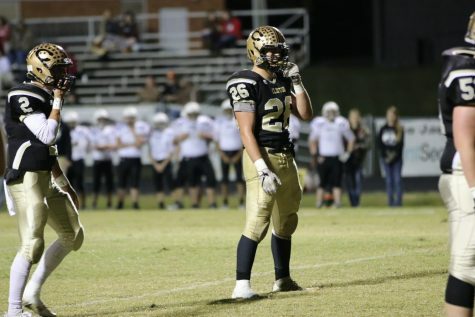 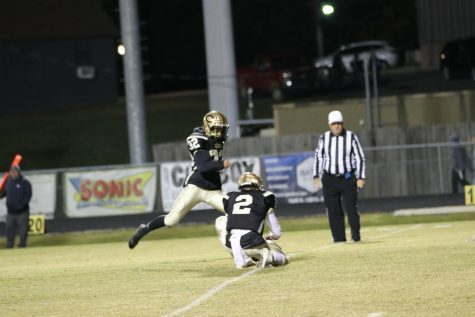 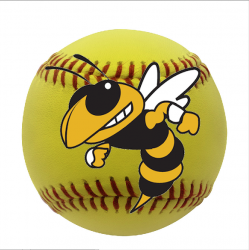 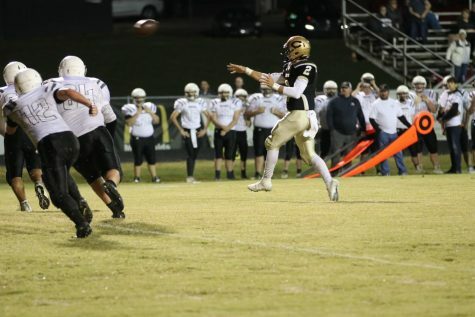 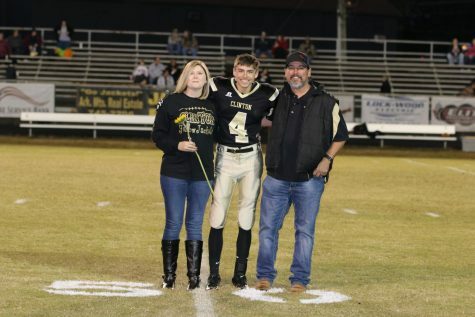 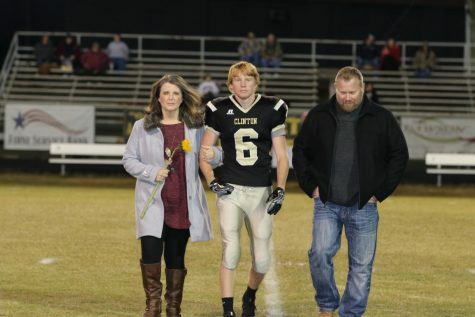 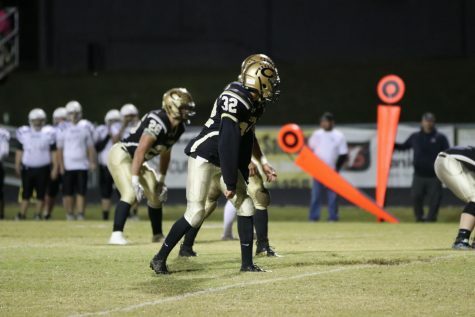 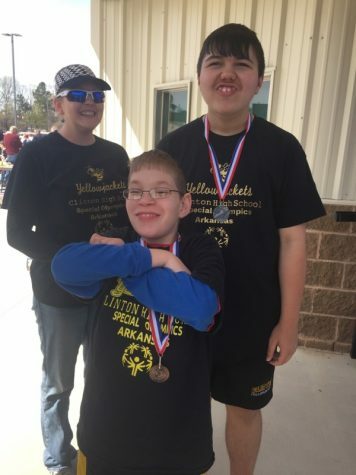 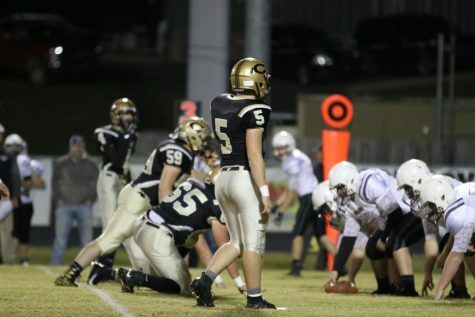 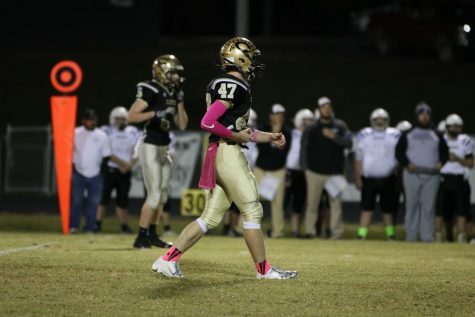 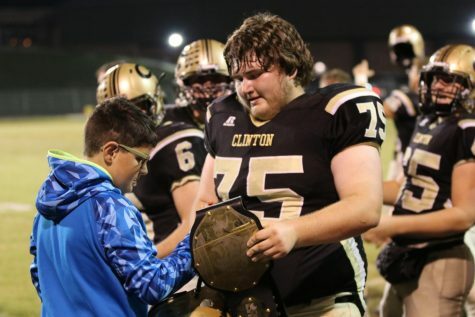 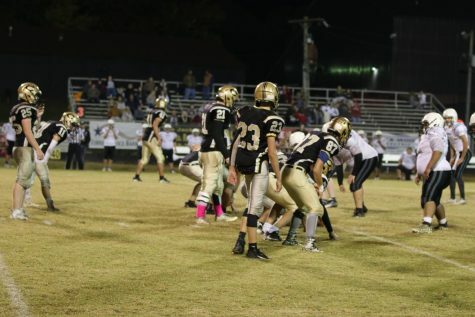 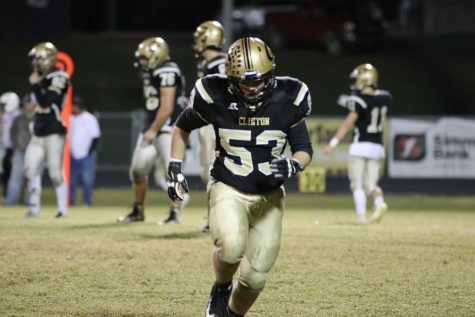 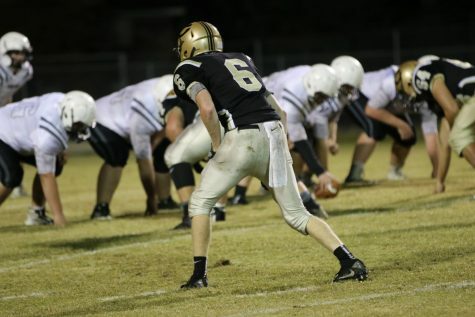 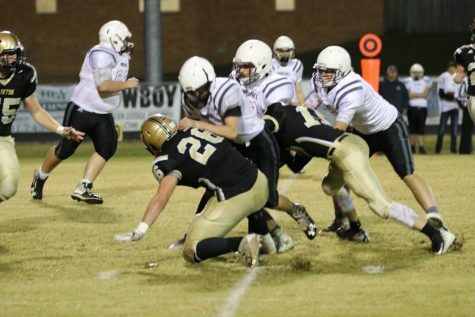 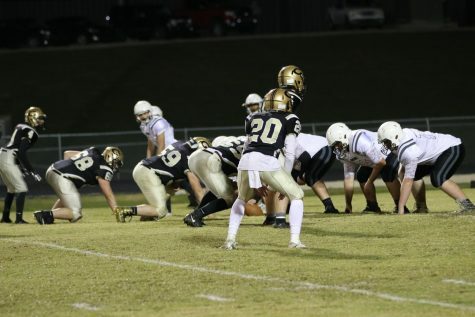 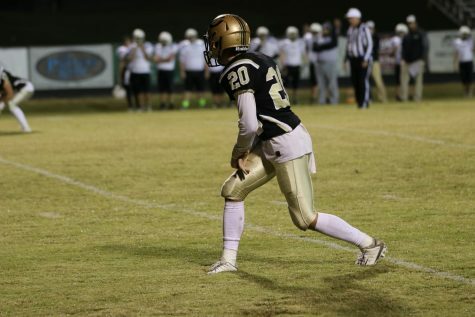 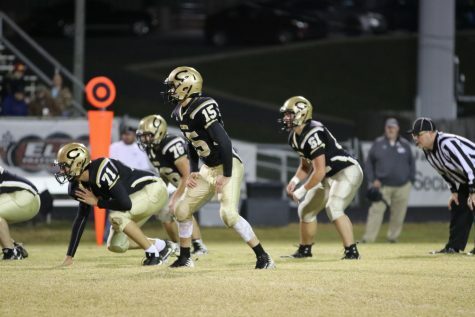 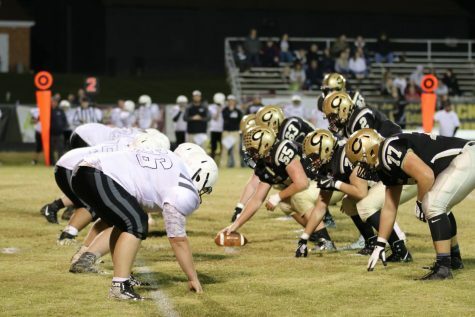 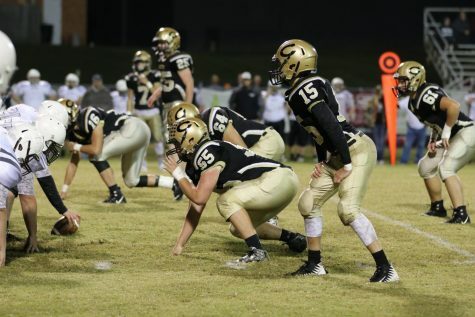 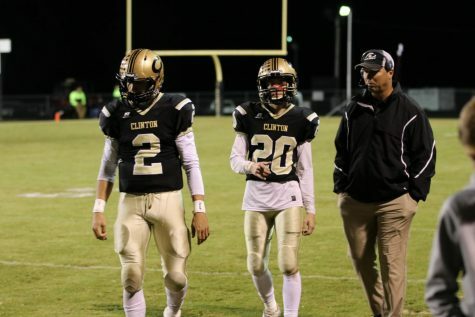 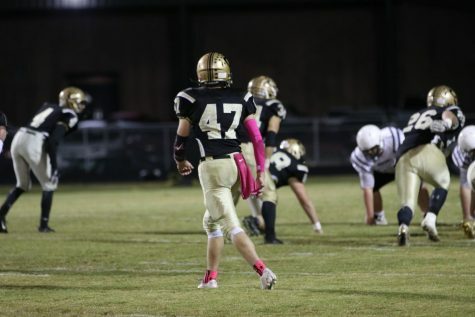 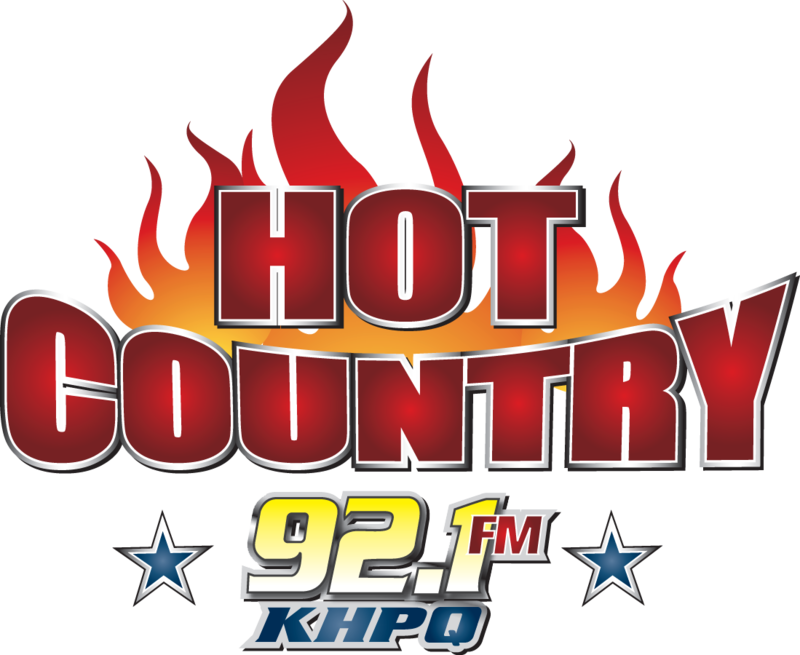 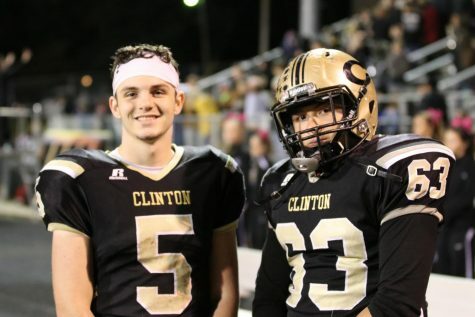 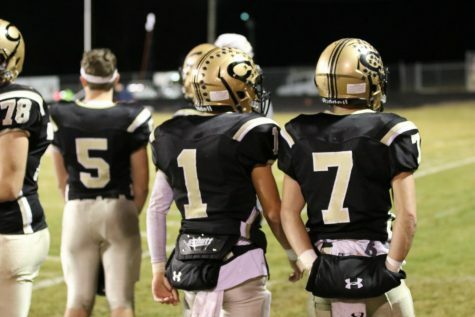 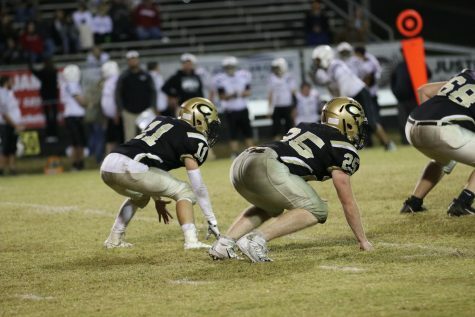 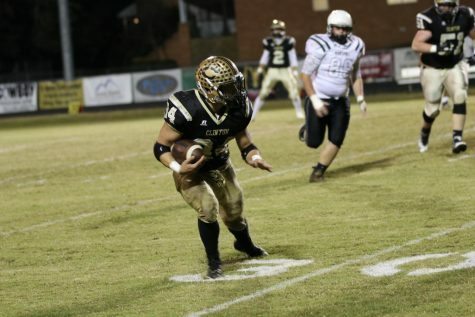 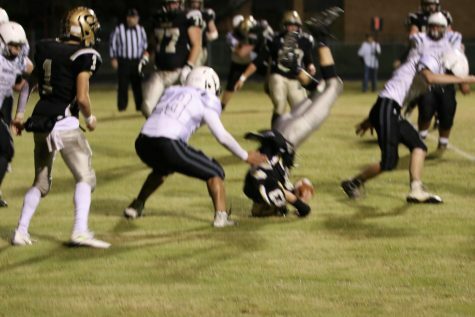 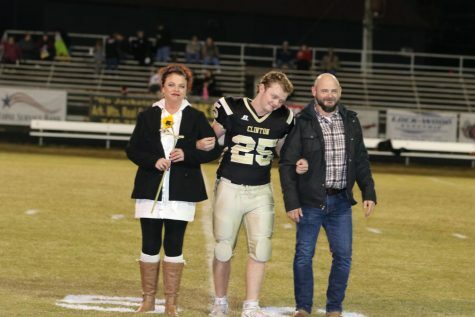 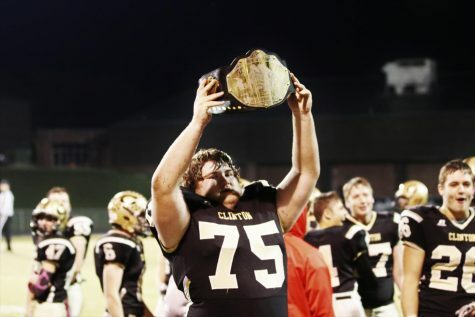 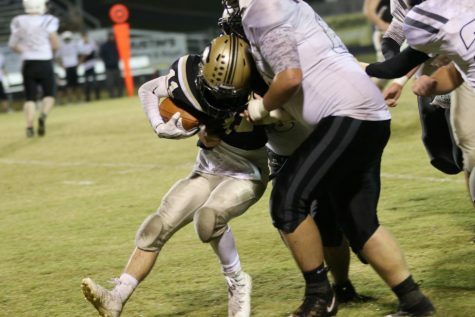 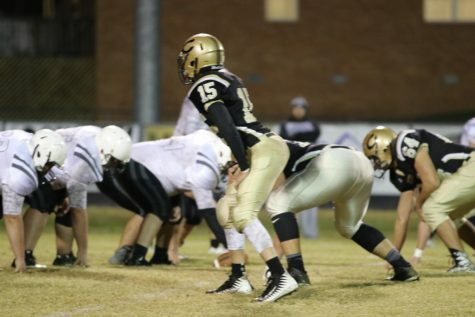 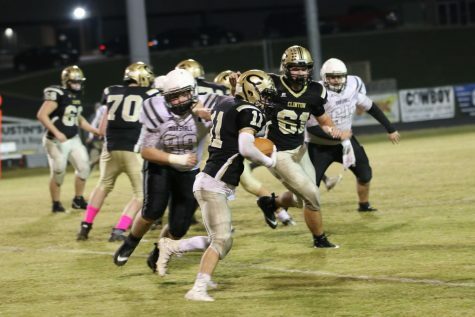 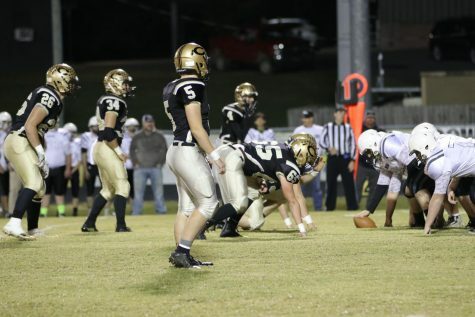 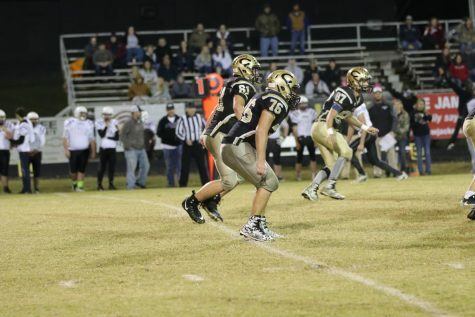 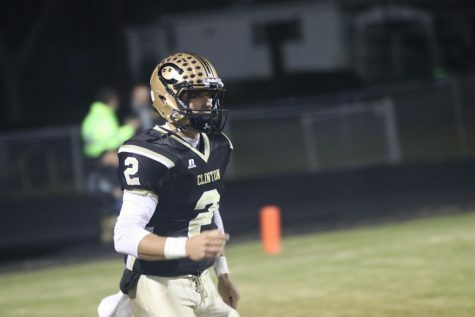 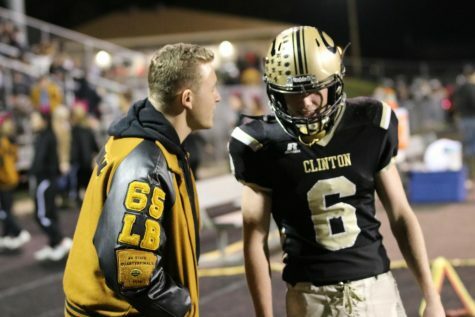 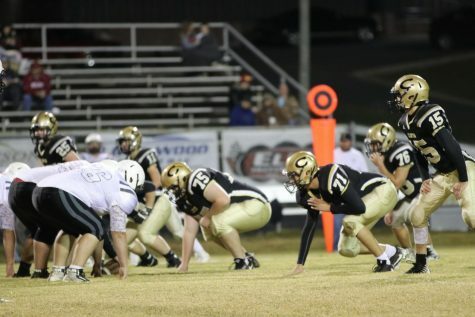 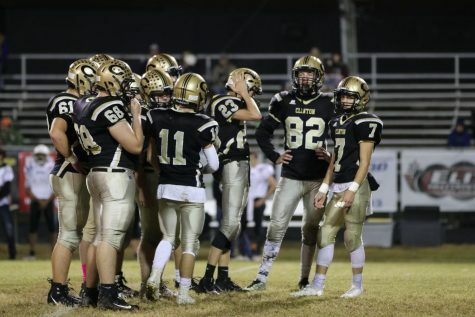 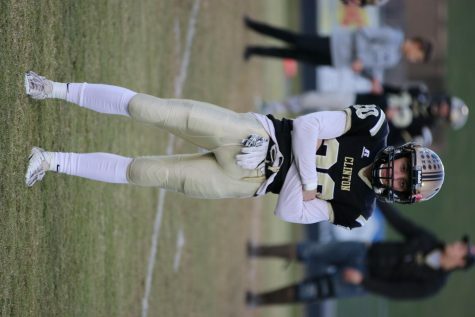 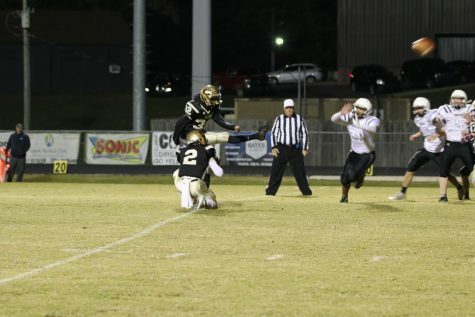 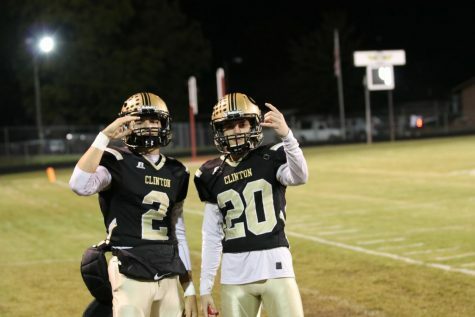 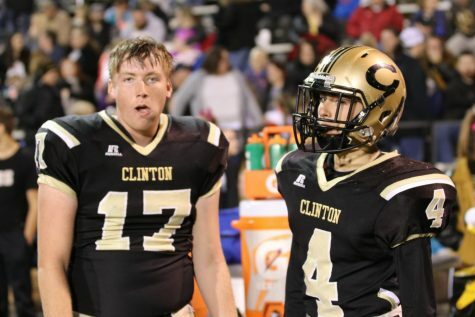 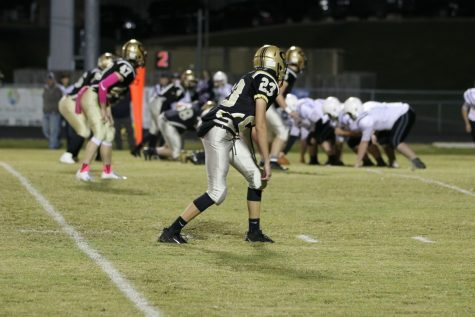 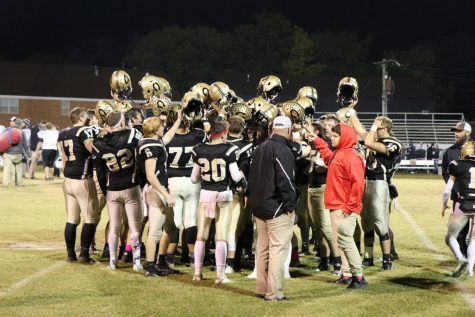 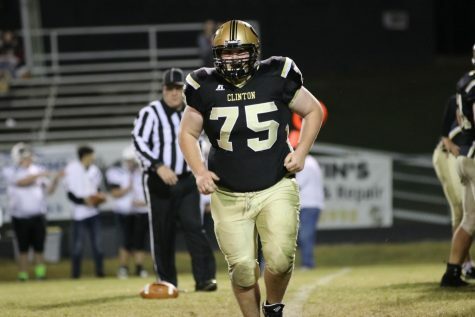 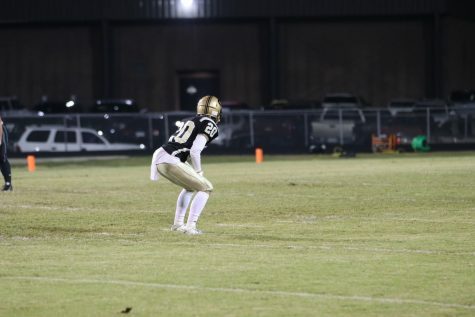 CLINTON, Ar– The Yellowjackets (9-0) pitched their second straight shutout against the Bobcats (1-8), and has not trailed in any game since week one. 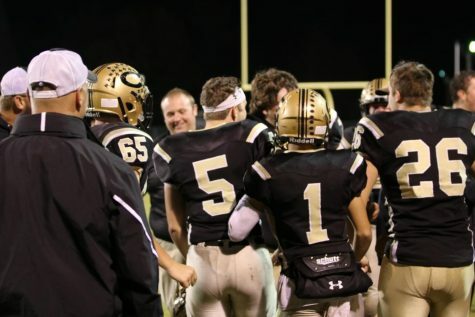 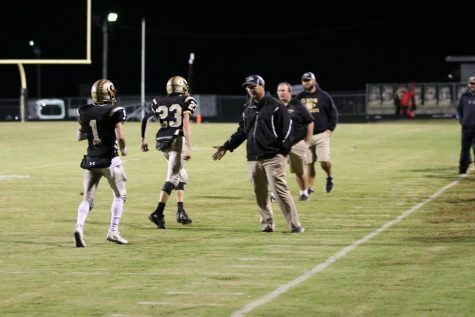 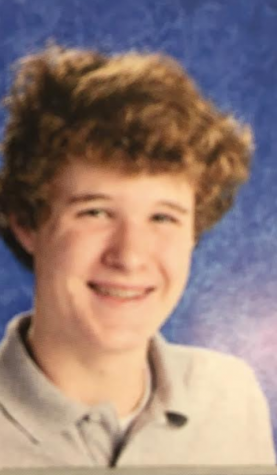 Coach Chris Dufrene has the Jackets clicking on all cylinders as post season approaches. 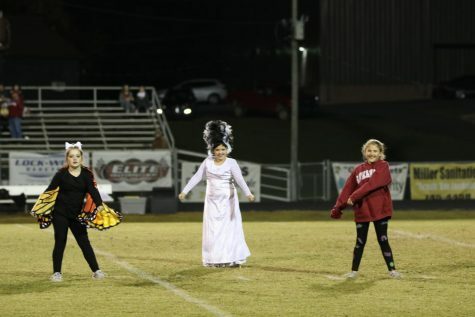 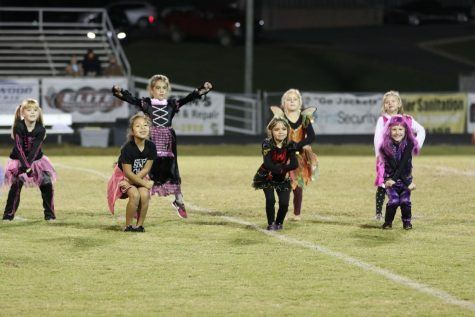 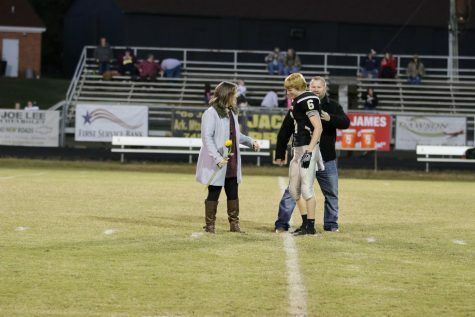 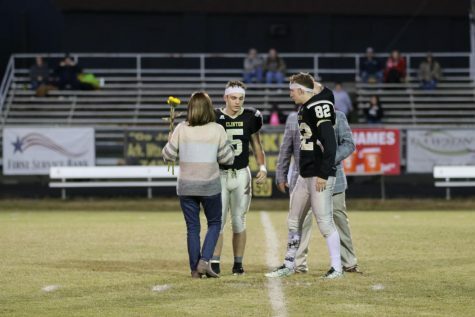 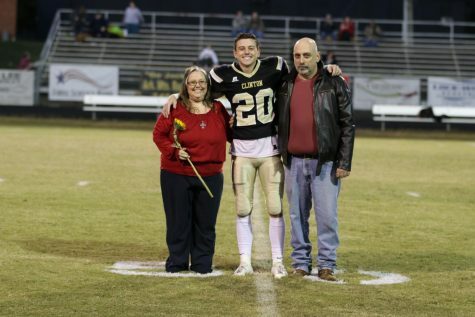 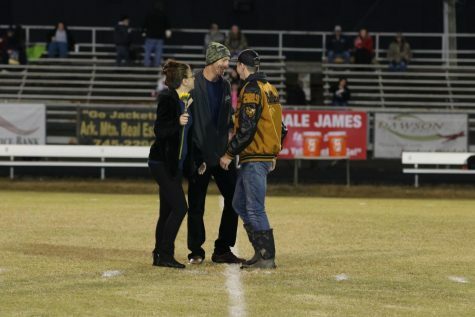 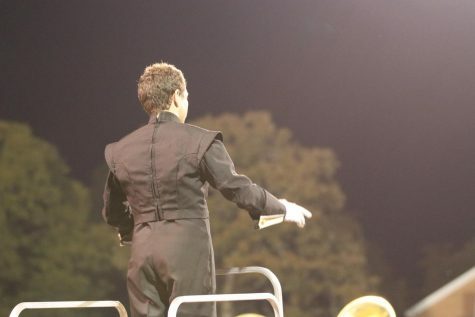 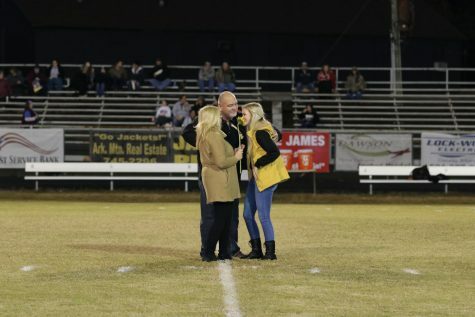 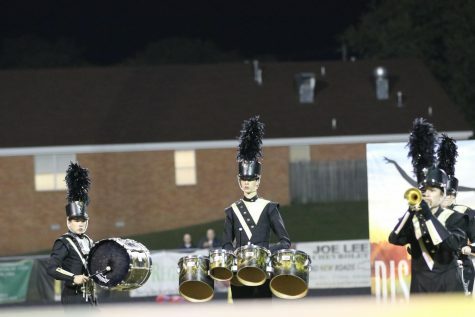 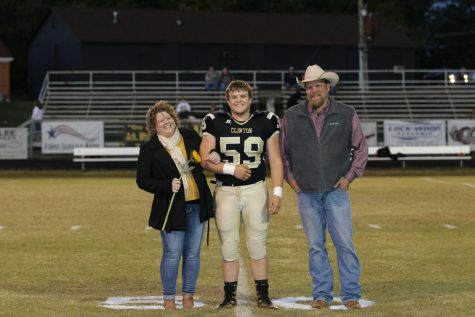 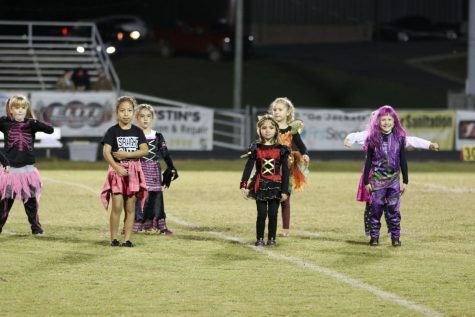 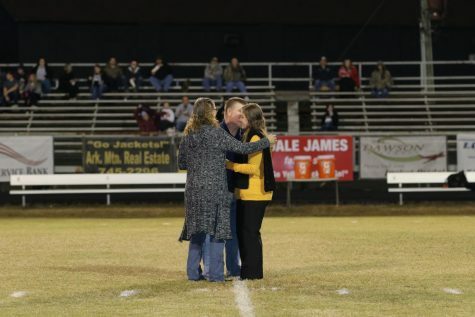 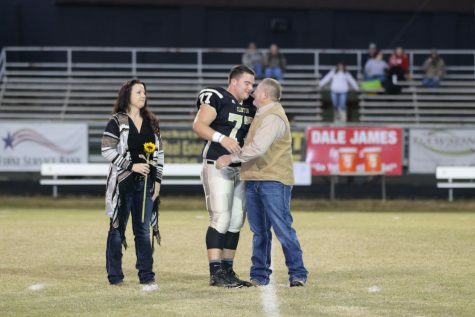 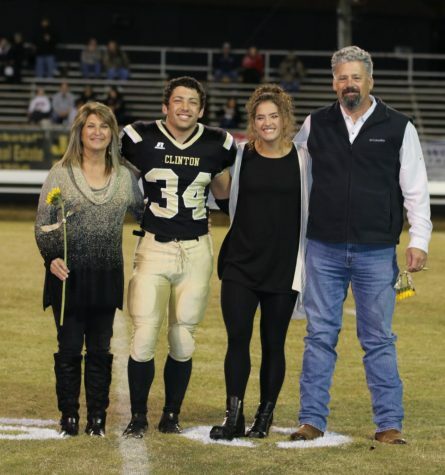 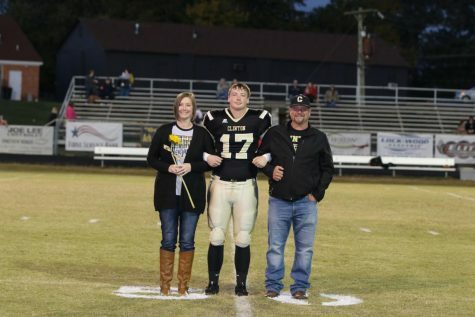 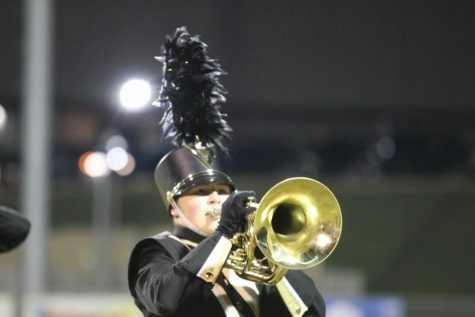 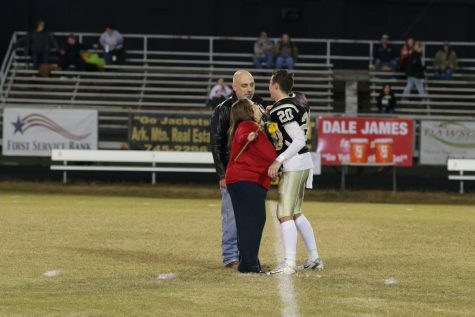 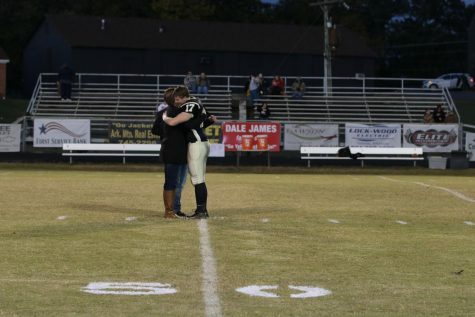 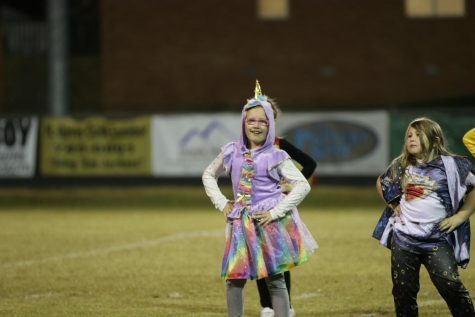 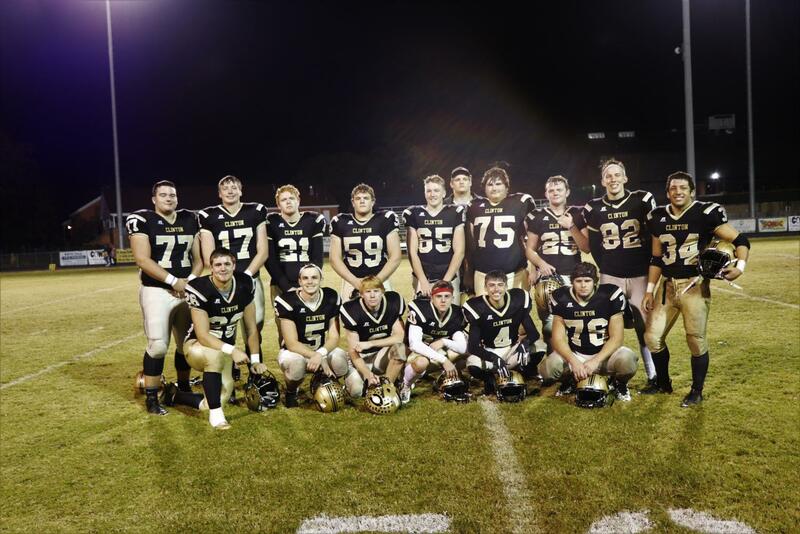 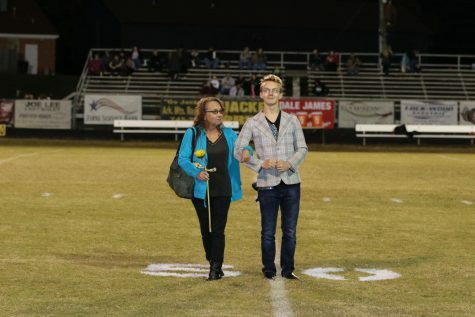 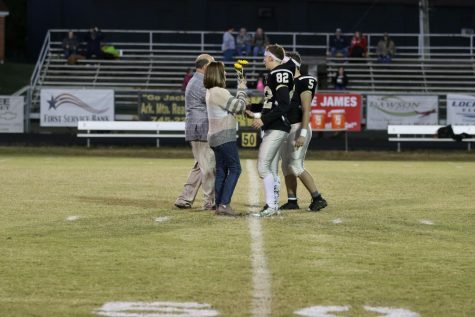 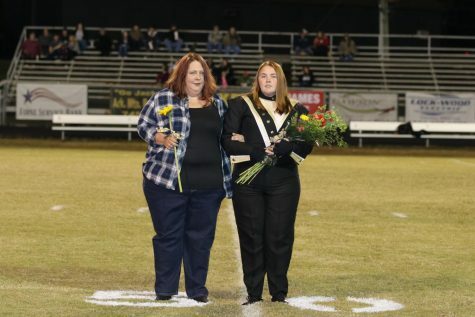 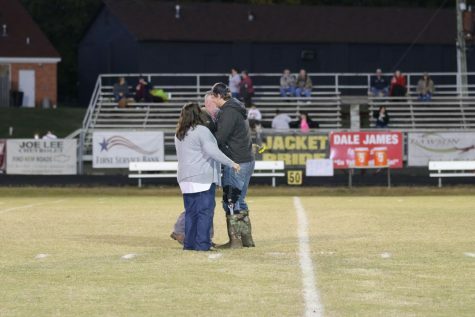 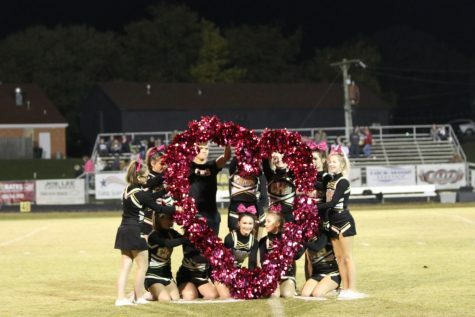 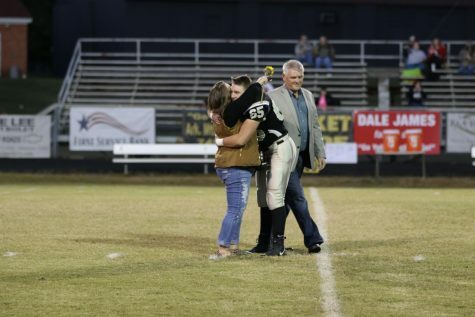 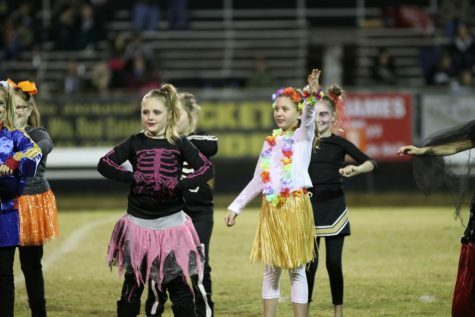 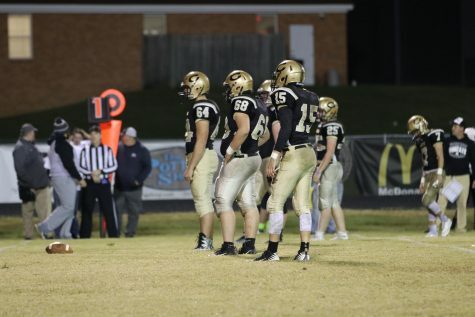 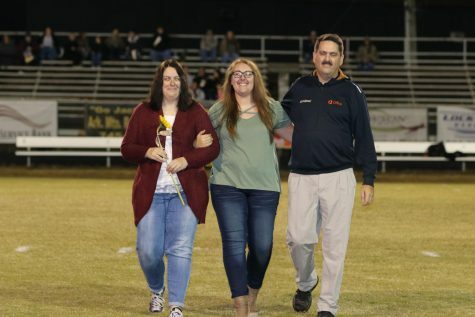 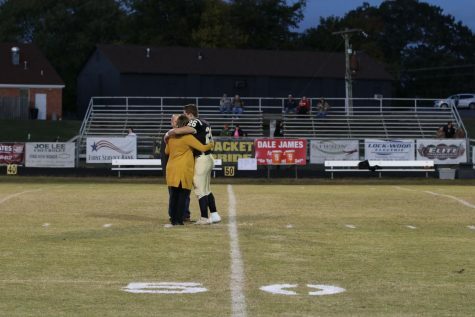 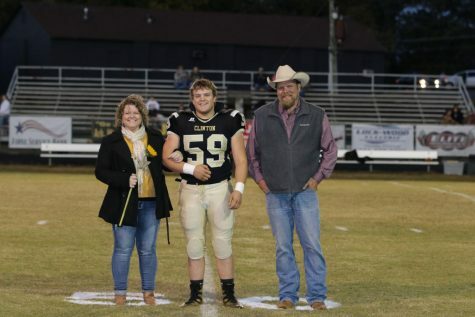 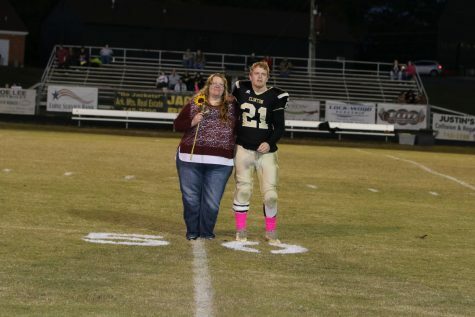 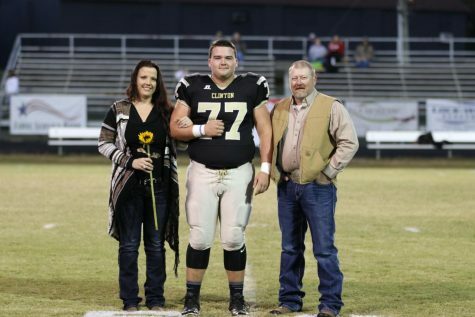 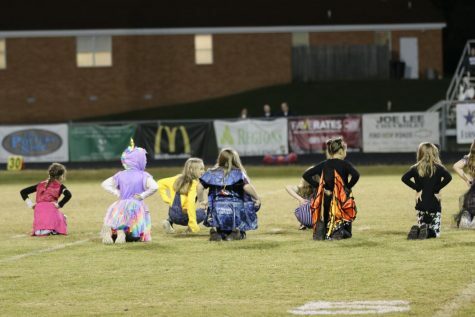 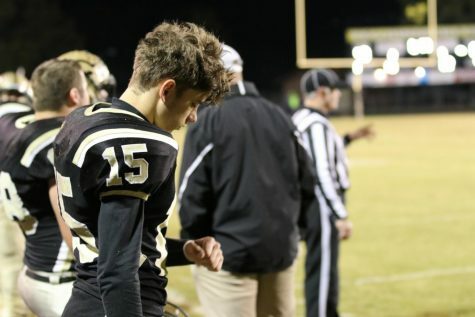 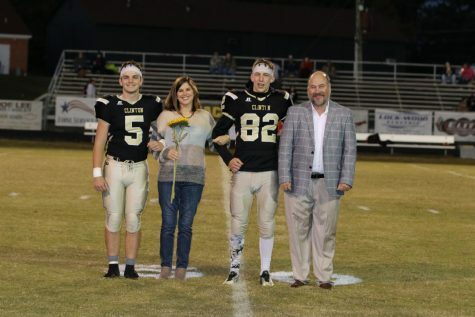 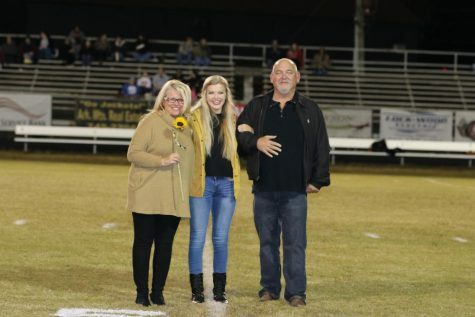 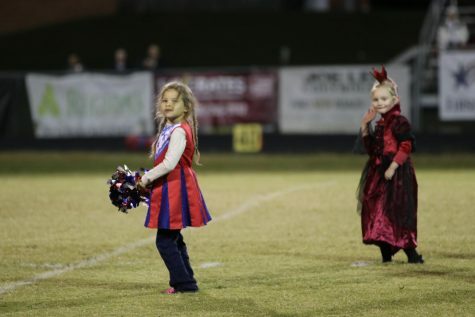 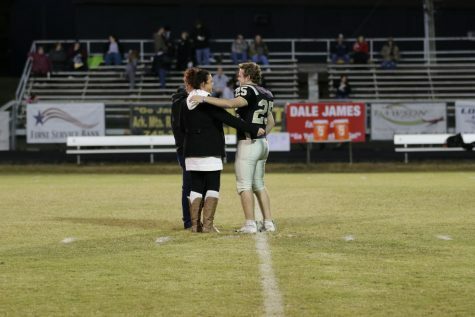 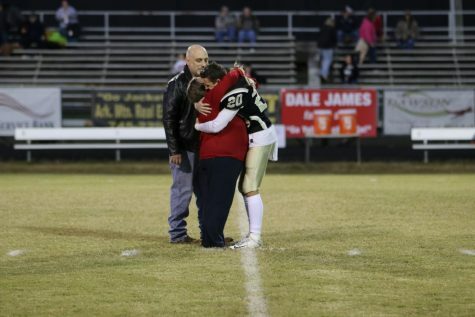 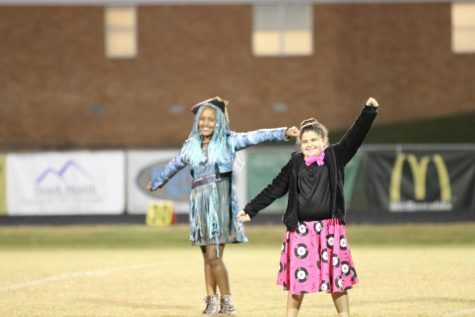 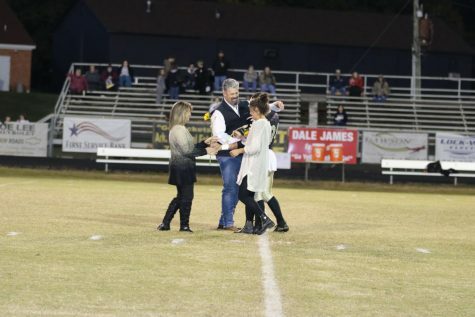 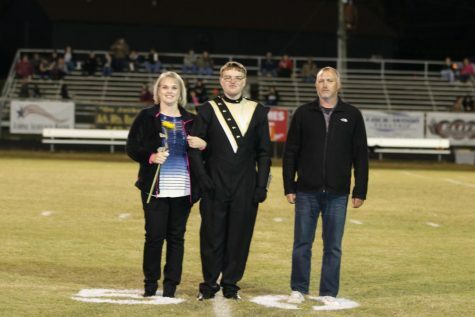 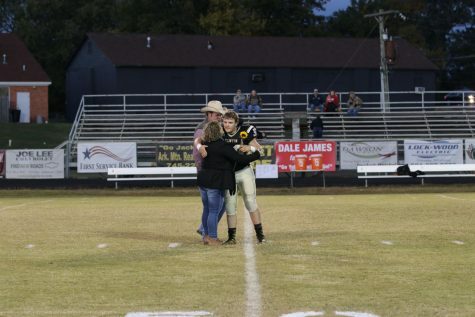 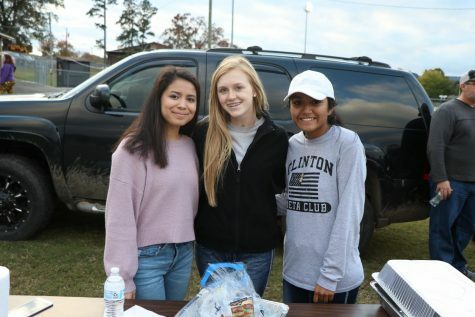 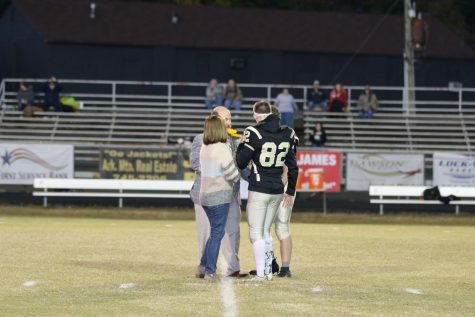 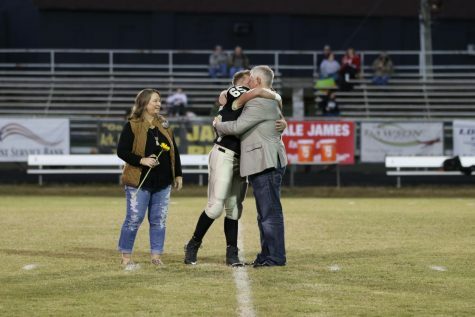 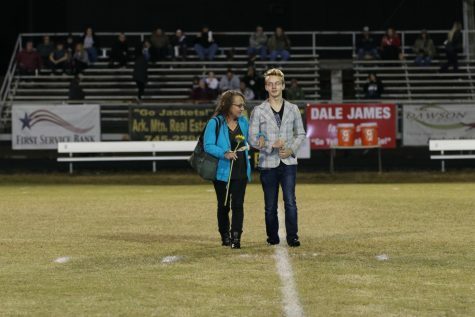 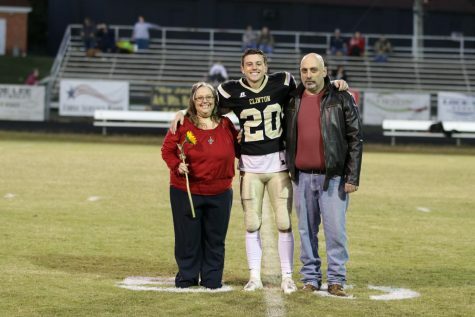 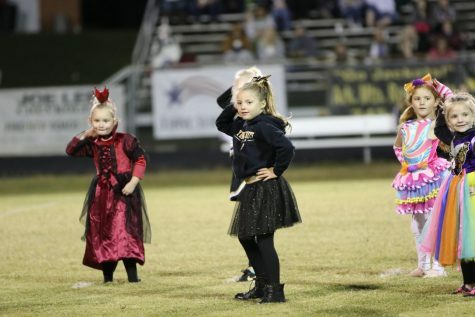 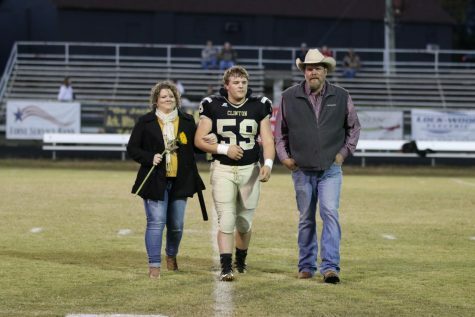 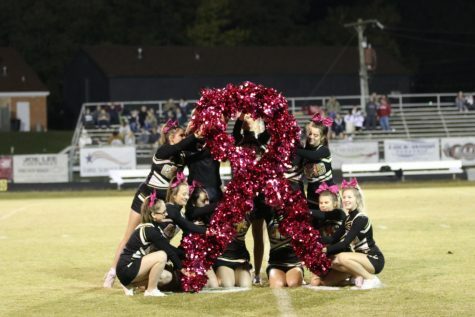 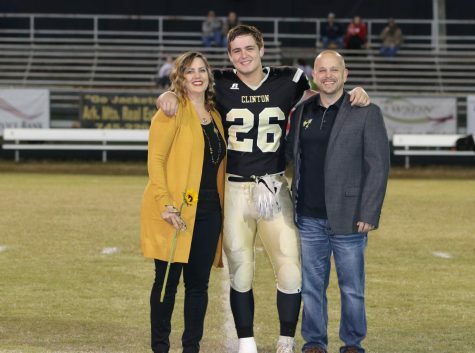 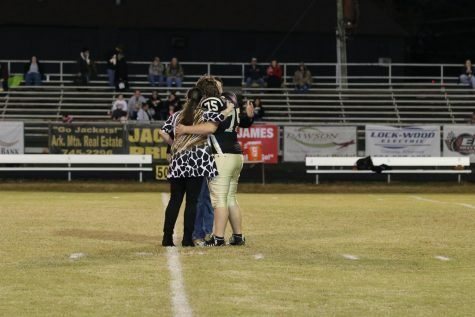 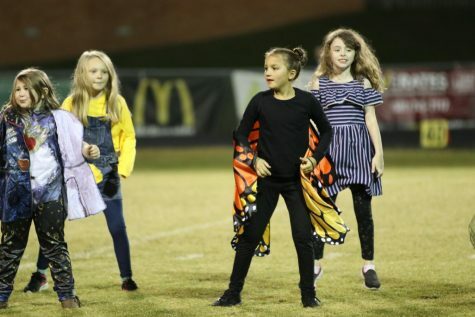 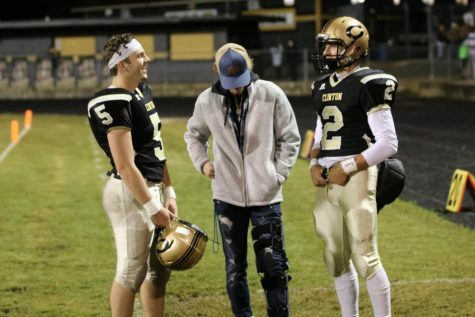 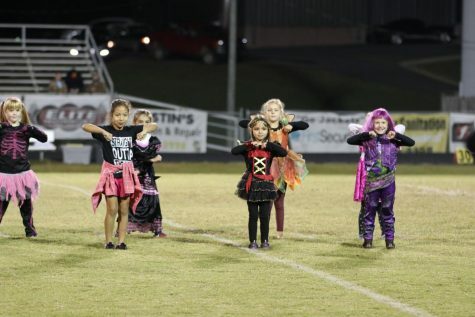 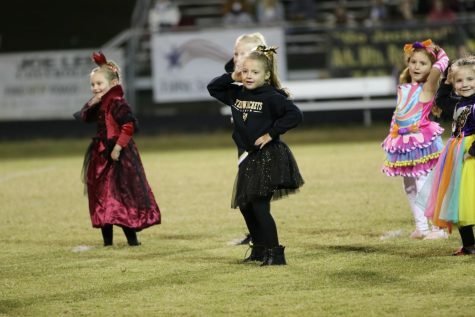 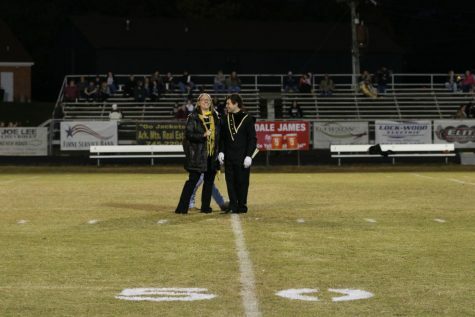 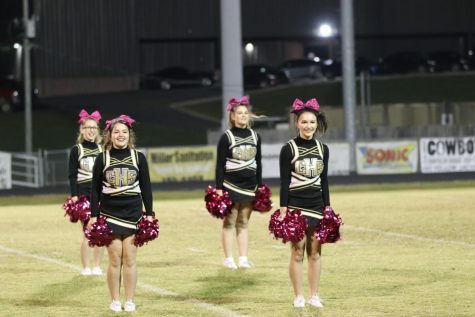 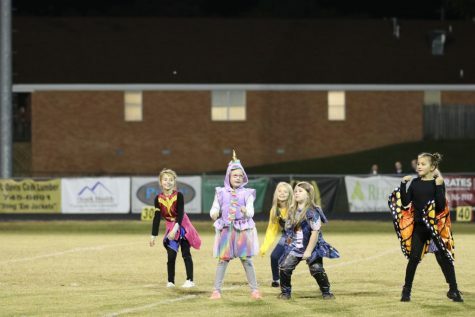 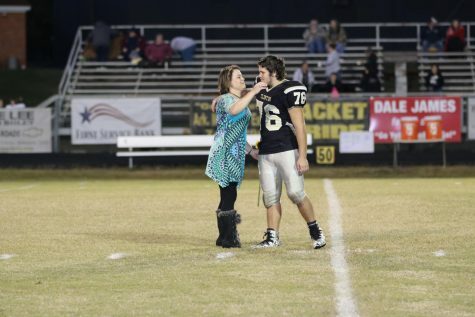 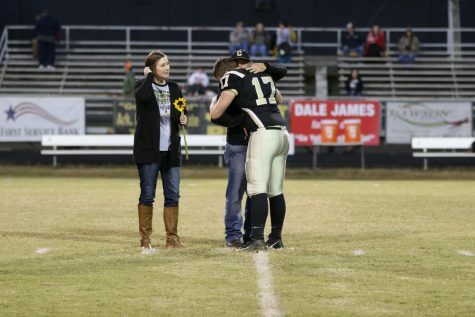 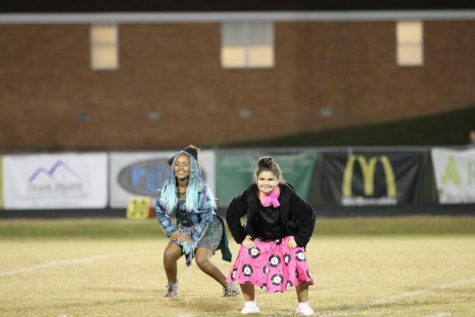 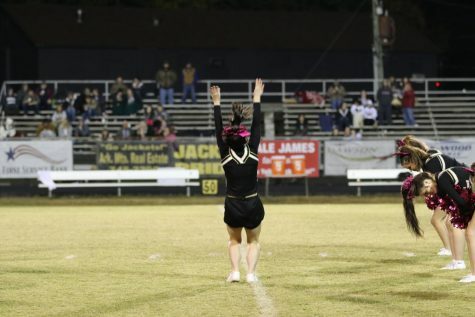 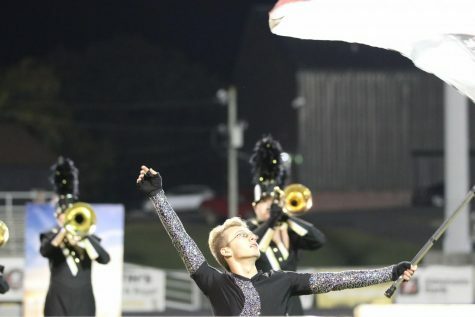 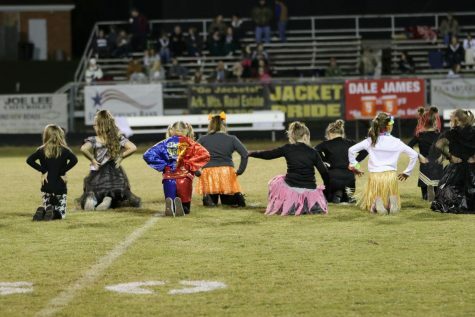 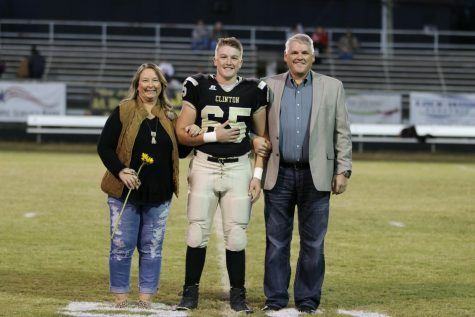 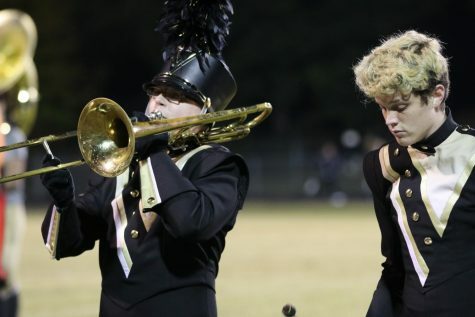 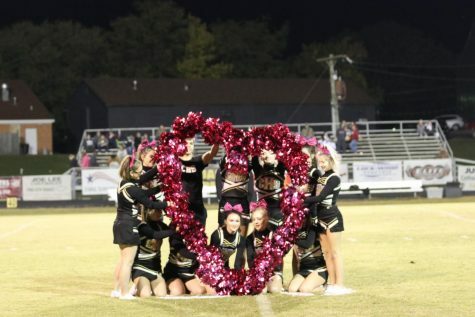 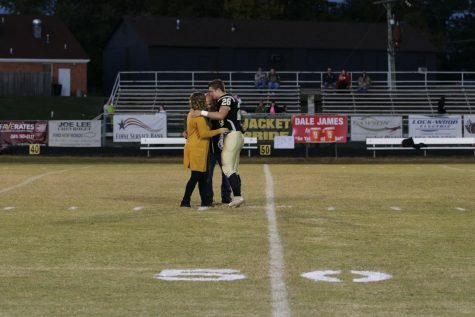 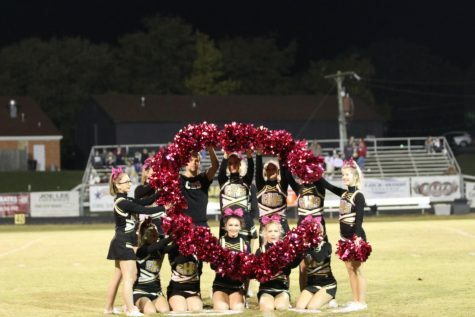 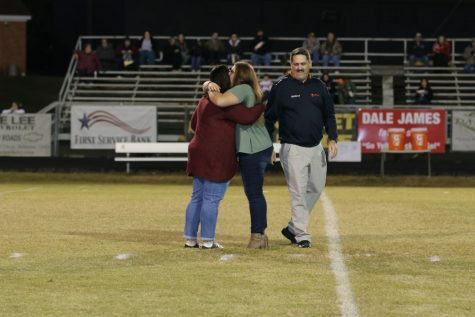 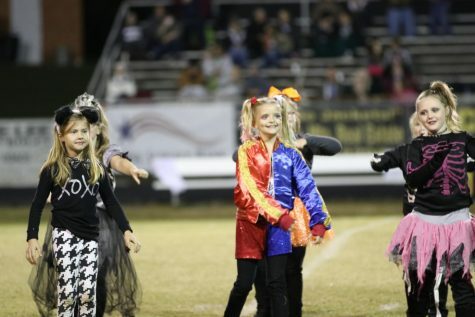 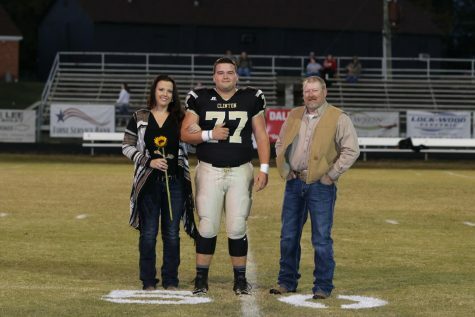 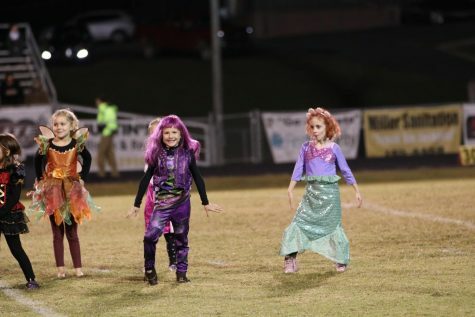 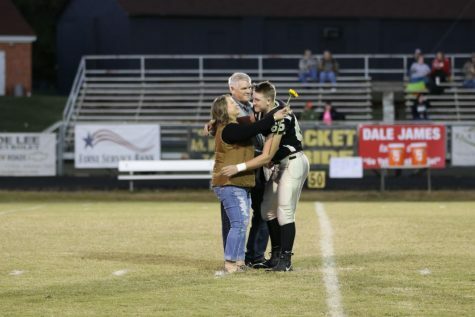 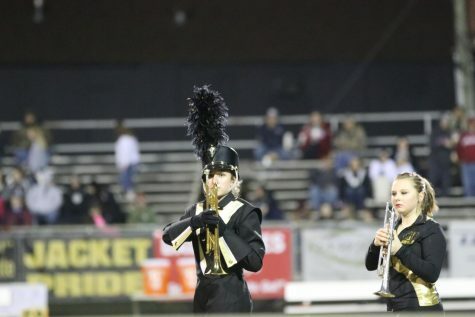 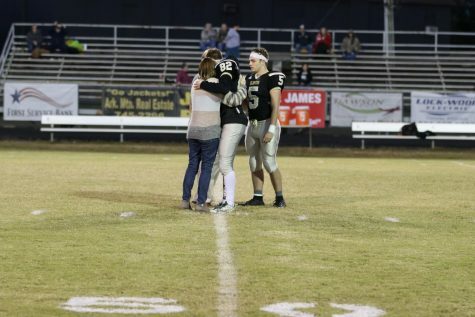 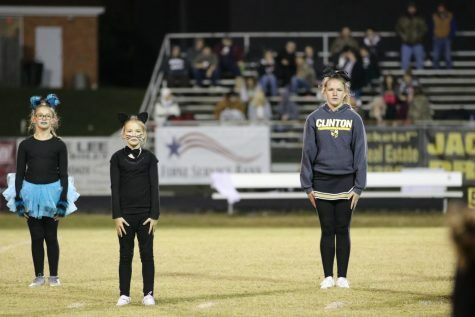 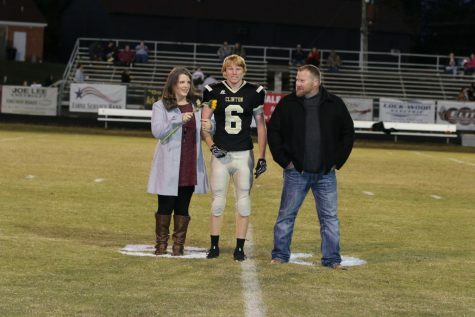 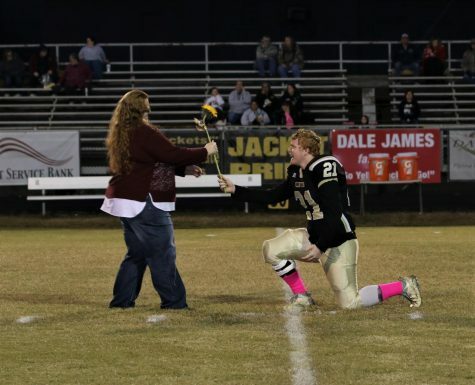 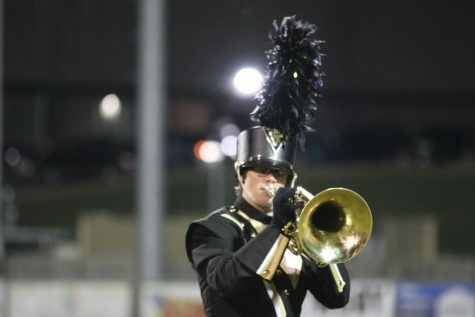 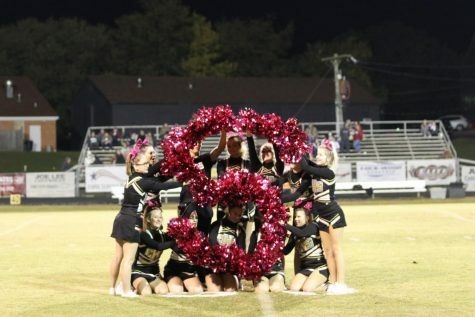 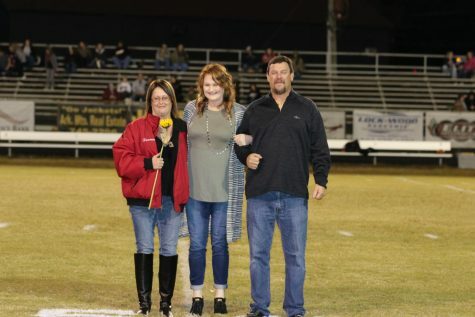 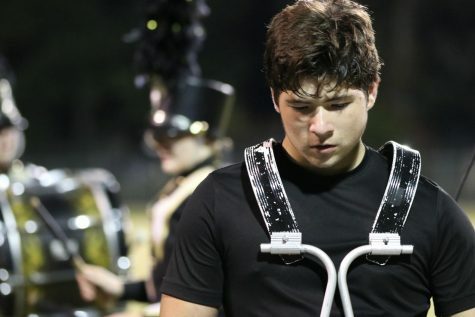 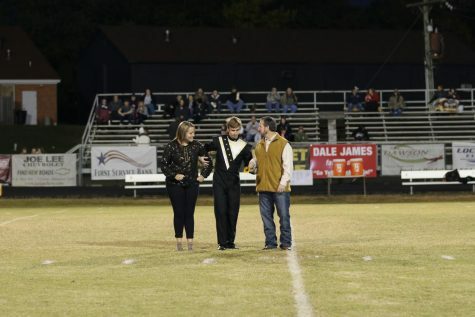 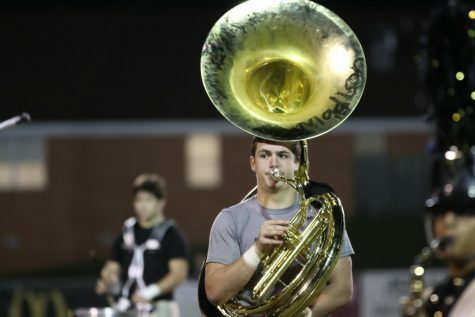 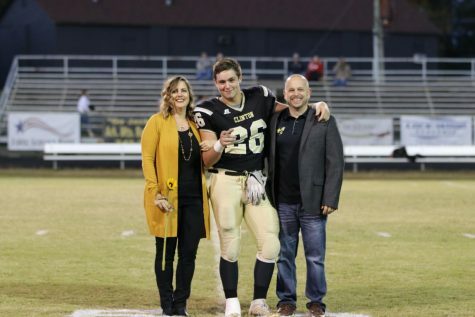 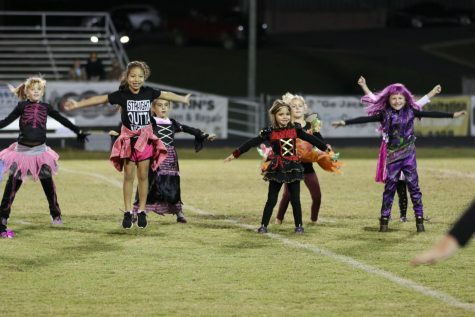 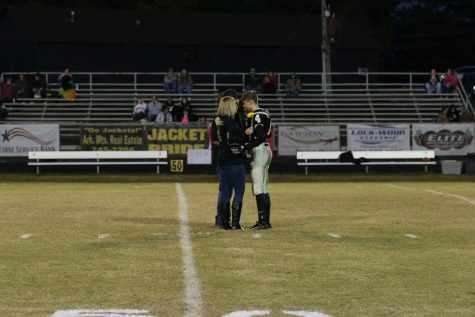 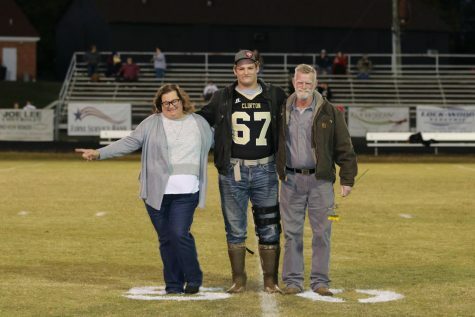 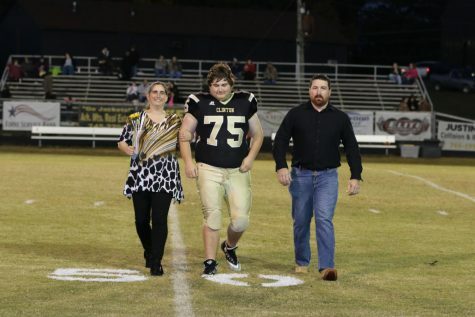 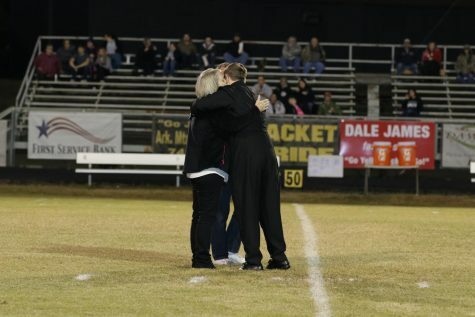 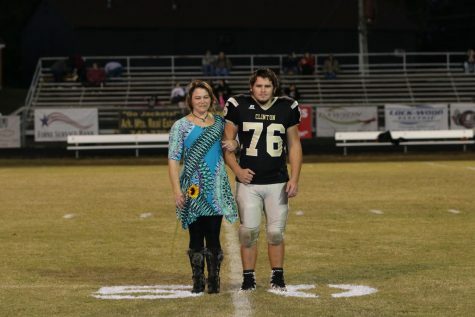 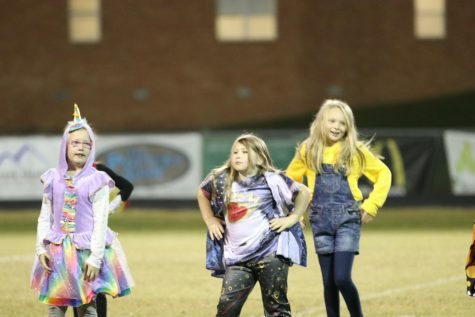 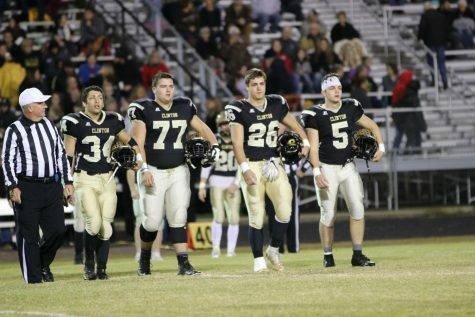 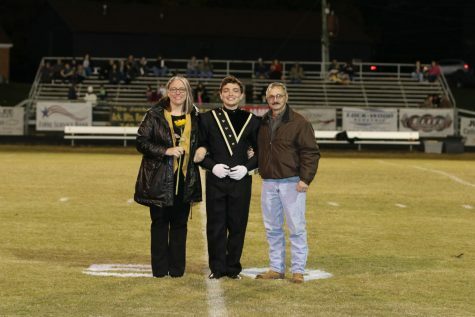 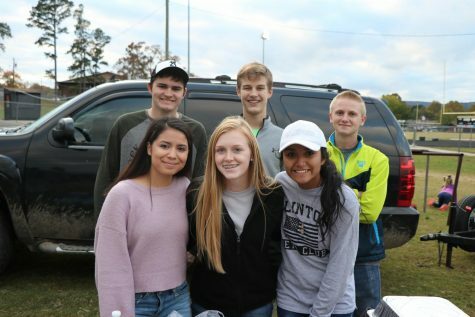 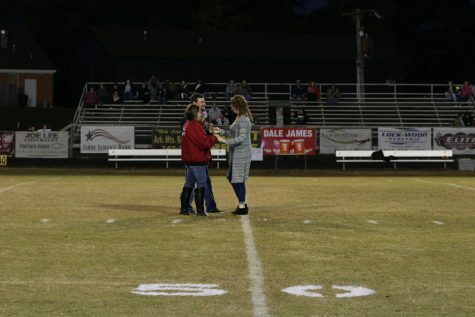 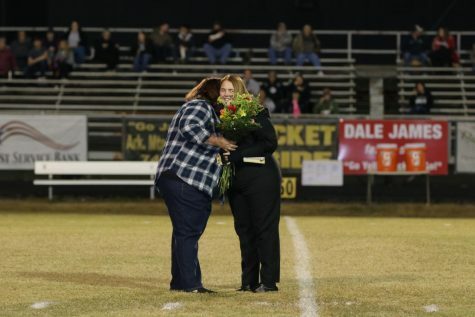 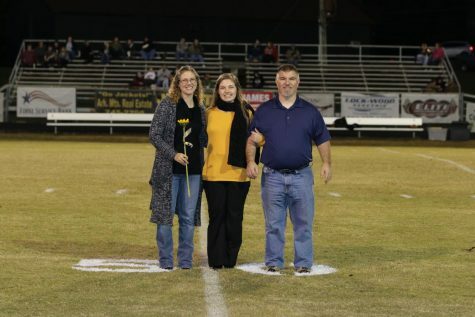 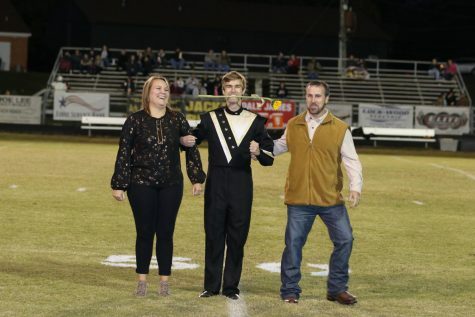 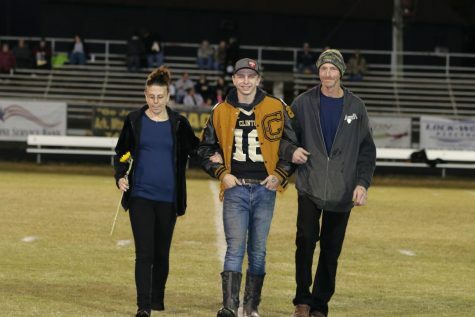 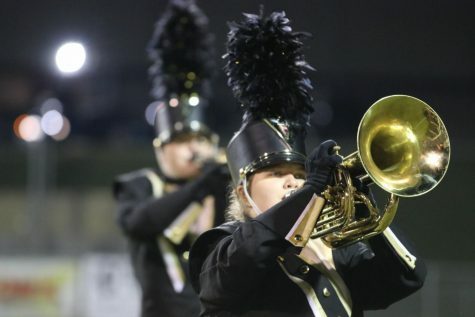 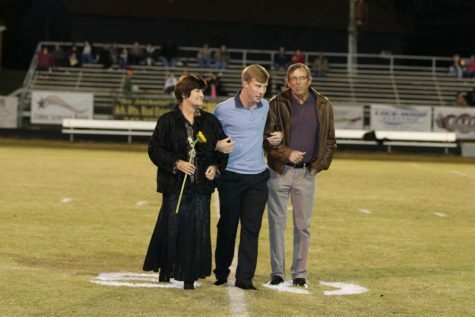 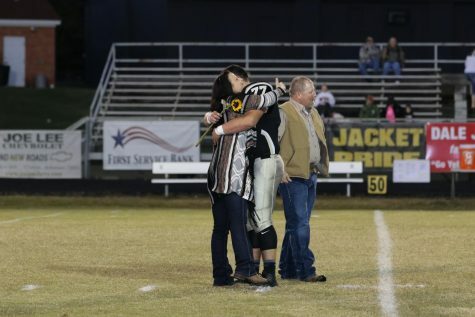 Friday night was Senior Night, and after all the pre-game senior night festivities ended, the Jackets put on one more show for their hometown fans before postseason starts in two weeks. 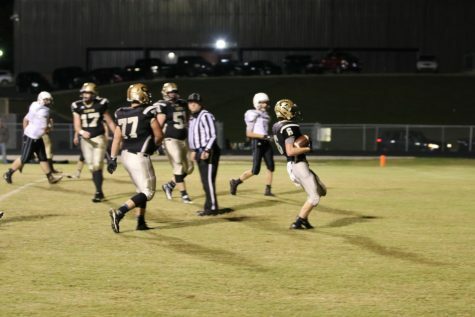 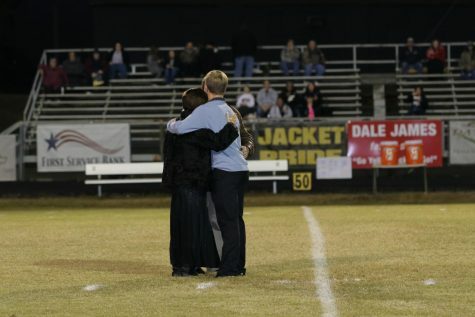 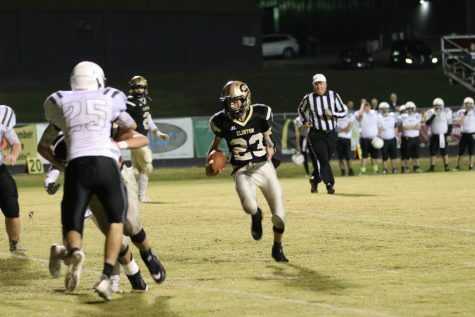 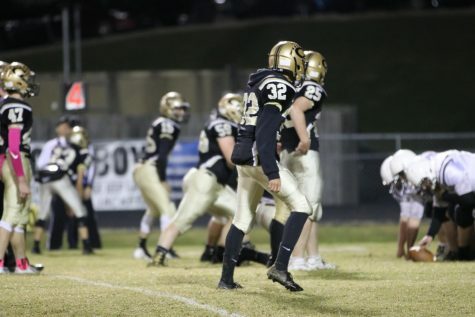 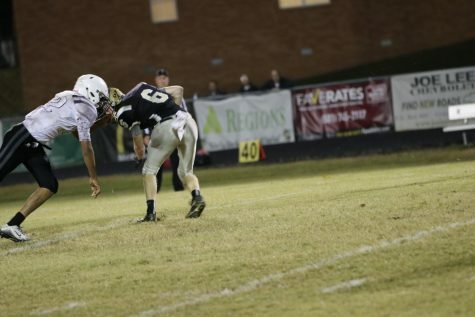 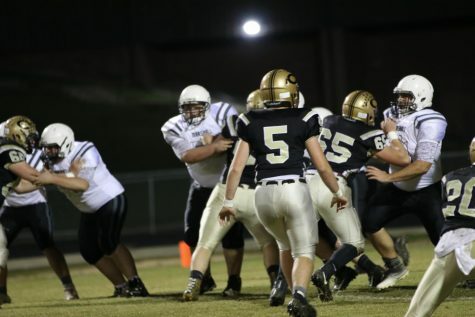 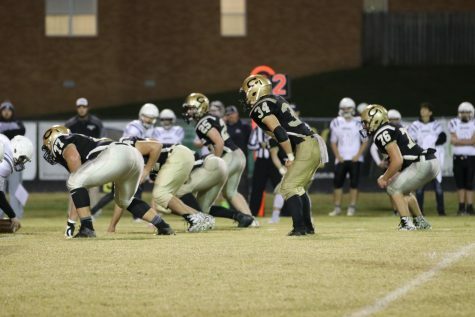 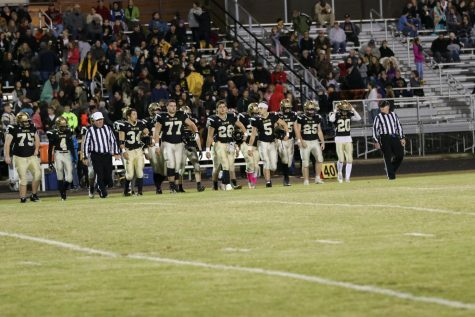 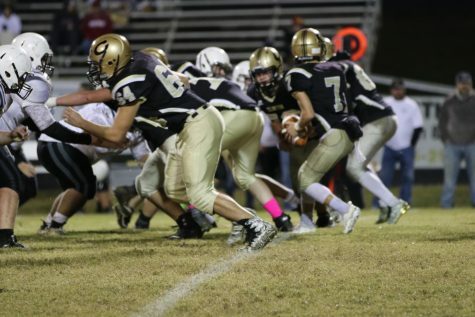 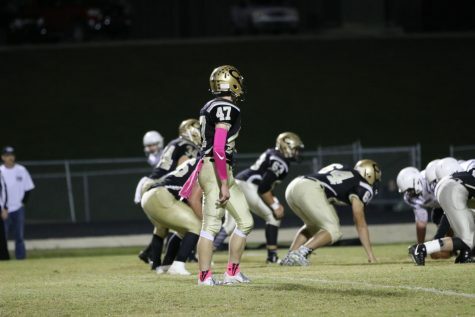 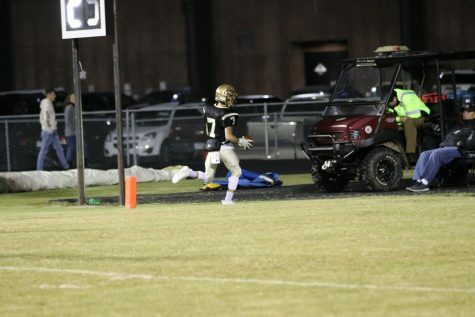 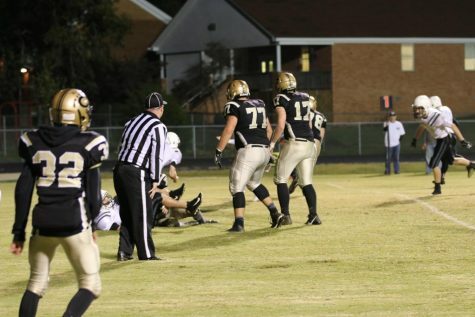 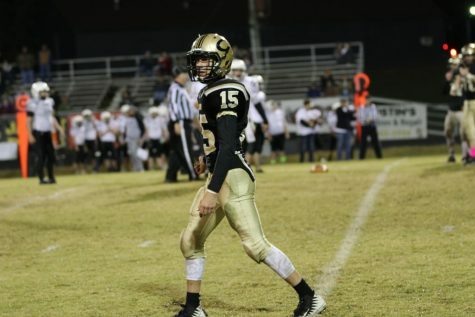 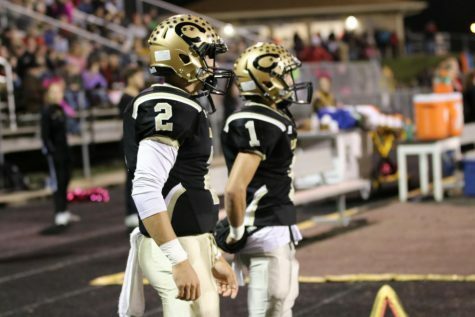 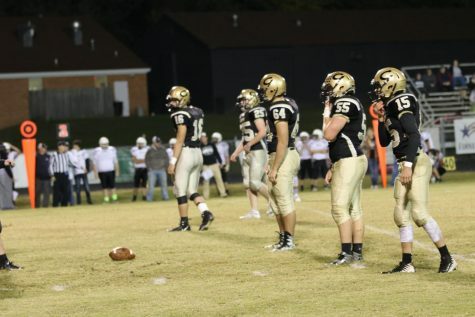 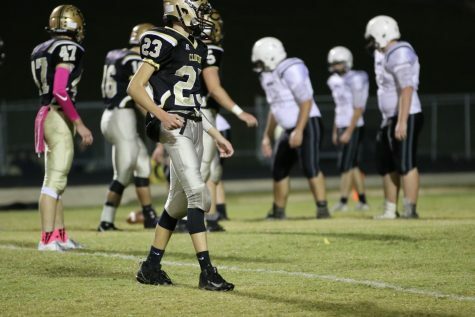 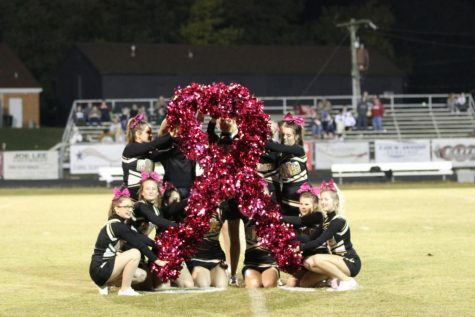 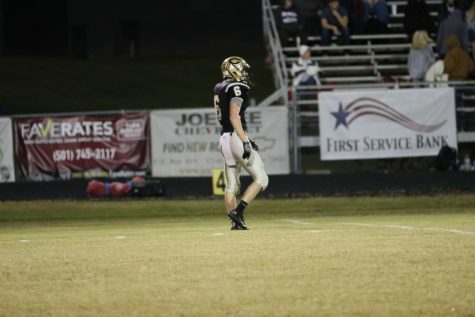 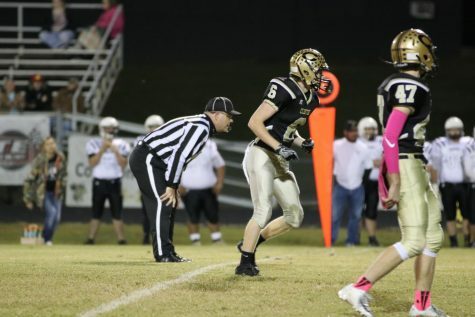 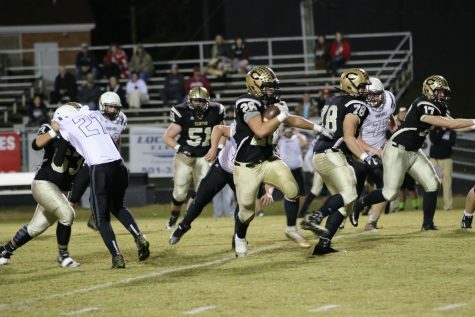 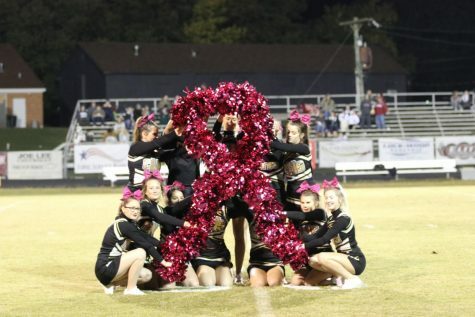 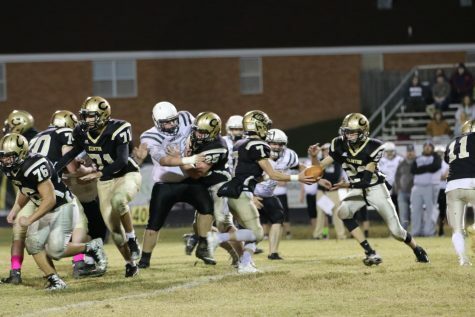 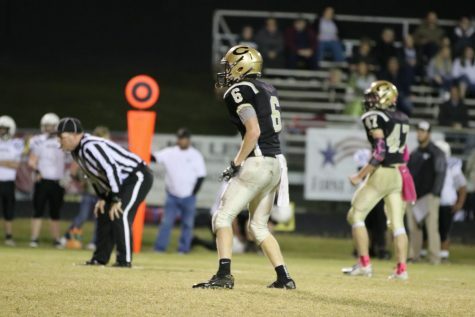 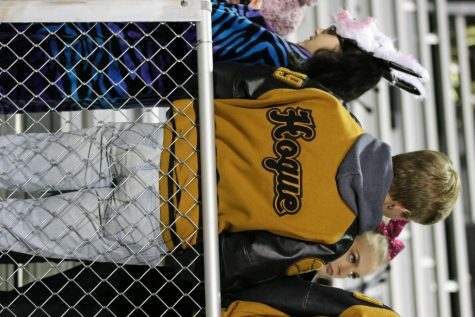 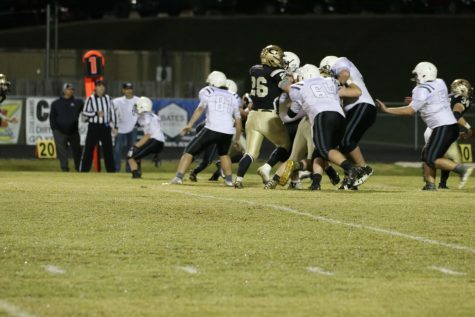 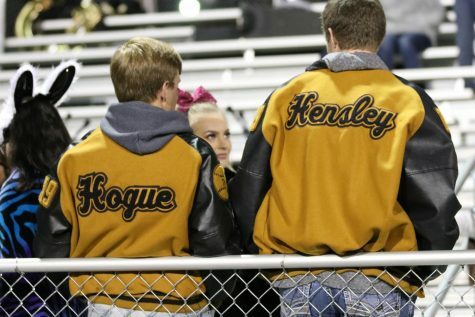 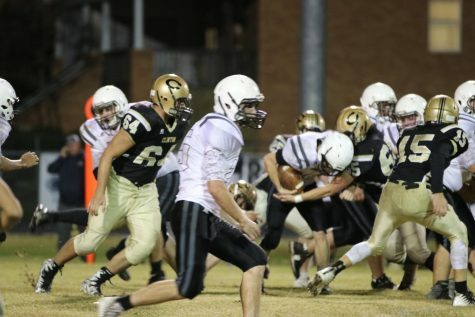 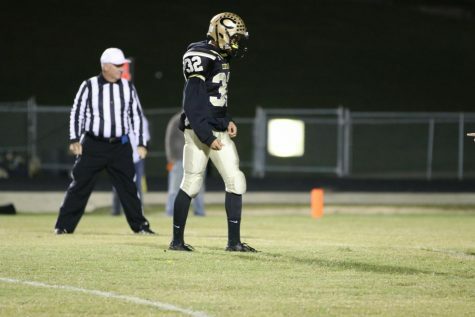 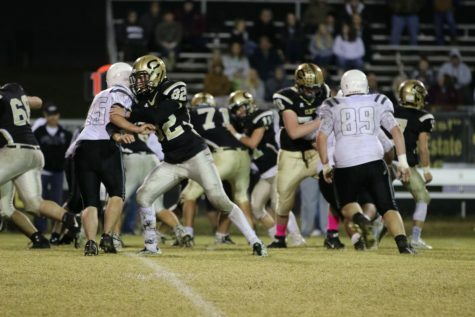 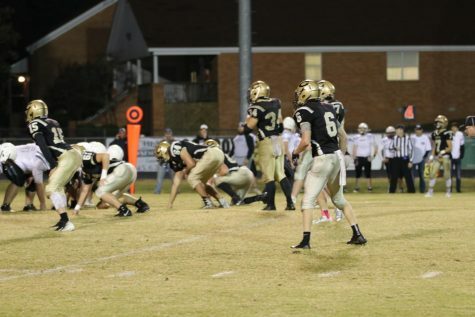 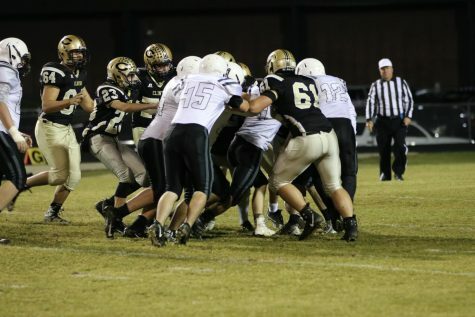 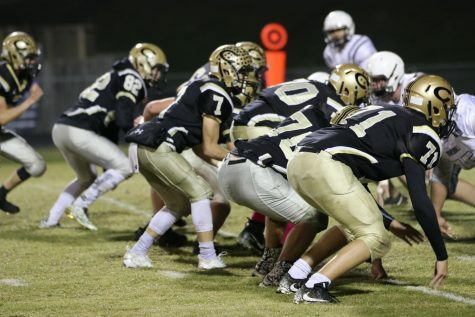 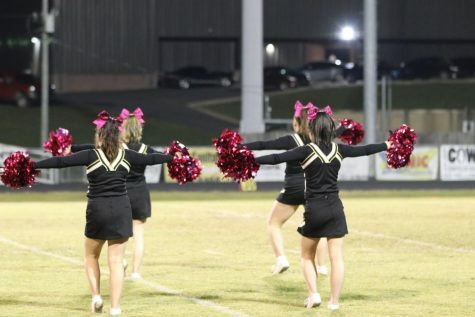 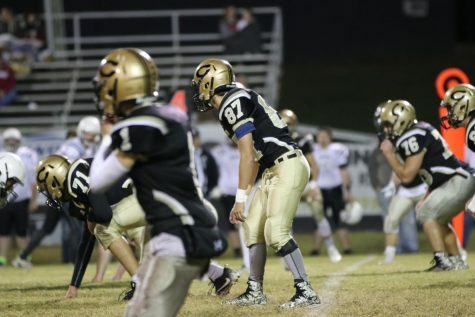 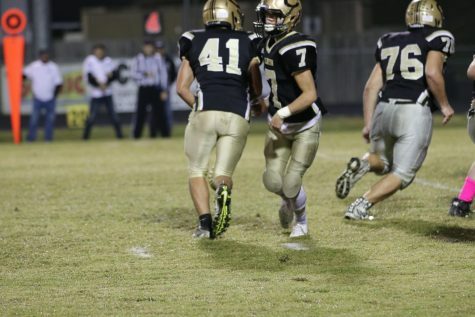 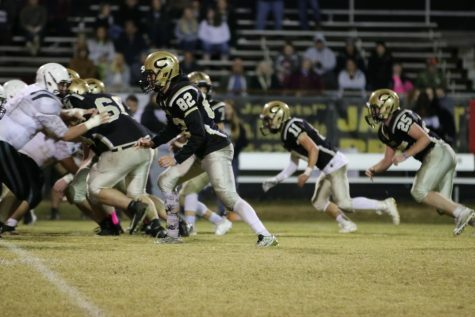 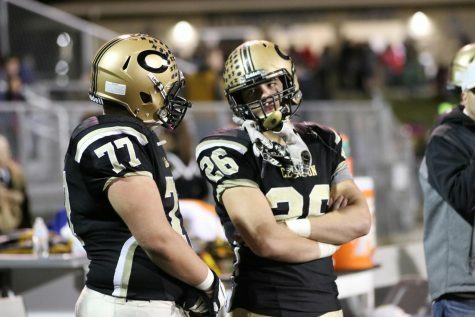 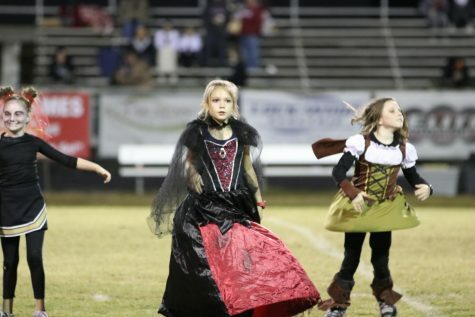 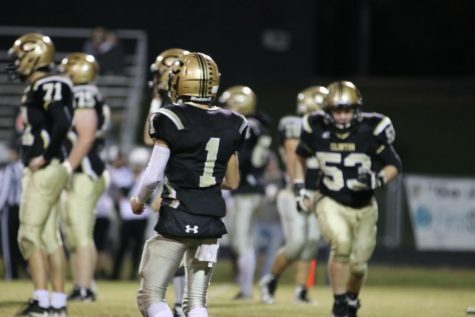 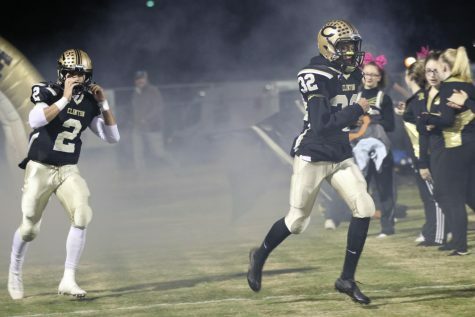 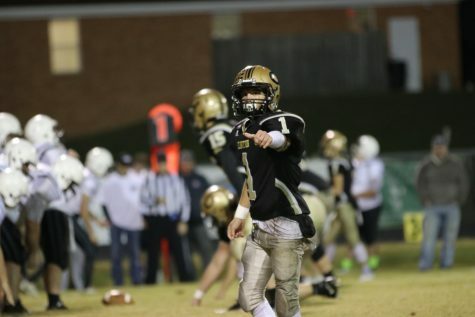 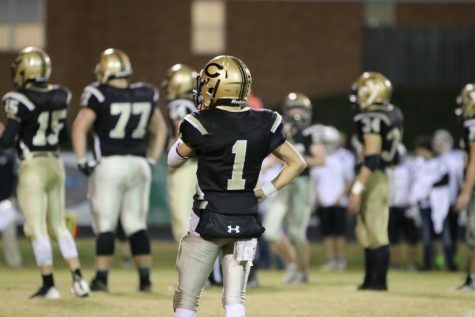 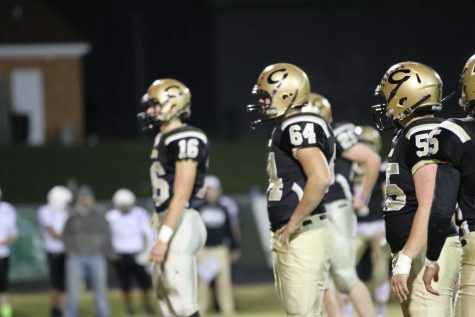 The Jackets did not just win Friday night, but they dominated their opponent in every aspect of the game. 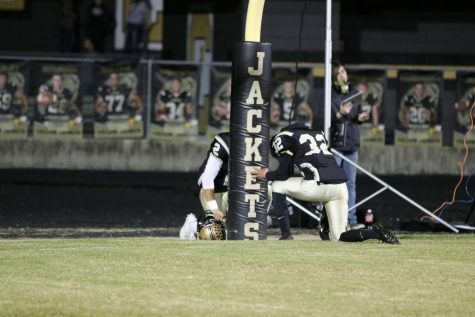 The Jackets put up 48 first half points and went into the locker room with the game all but over. 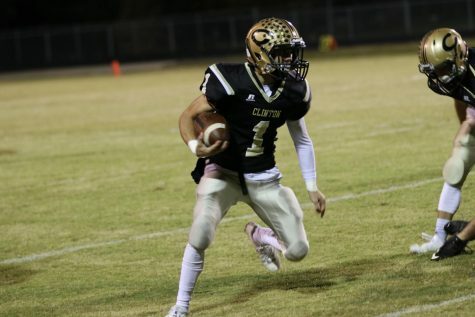 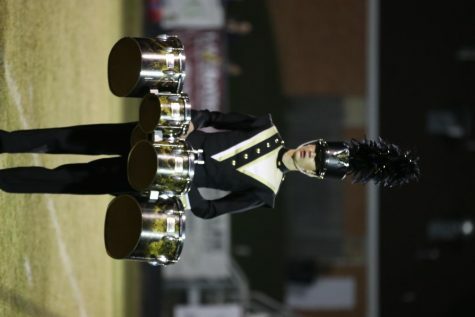 Clinton tallied up 248 yards of offense on 38 plays, averaging 6.5 yards a play. 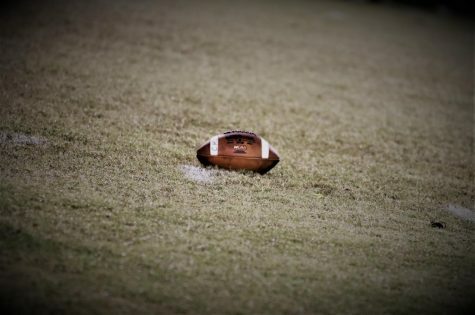 While their conference opponent was held to -6 yards at half, and ended the game with under 100 total yards from scrimmage. 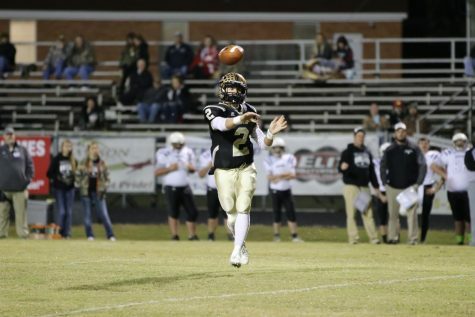 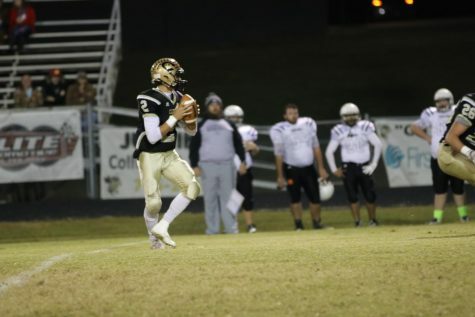 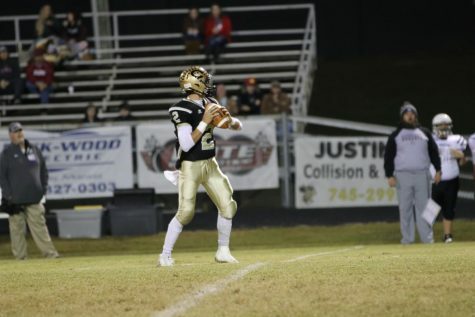 Junior Weston Amos completed 4 out of his 7 passing attempts for 72 yards and two touchdowns. 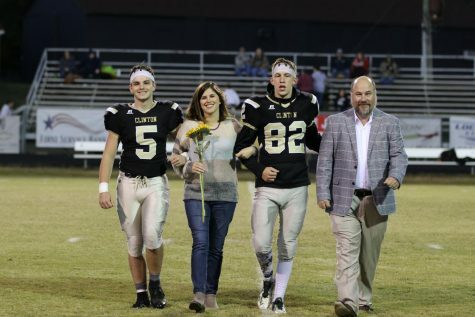 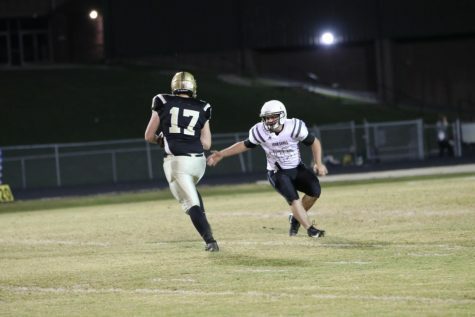 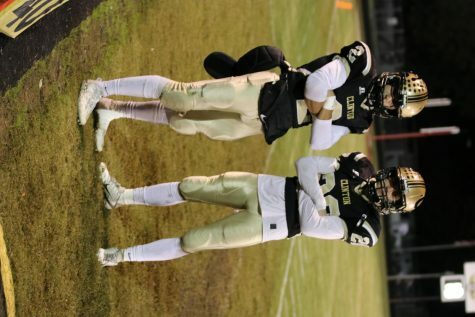 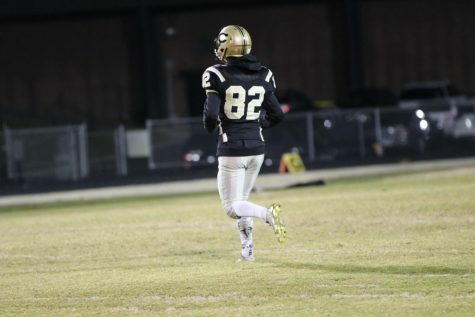 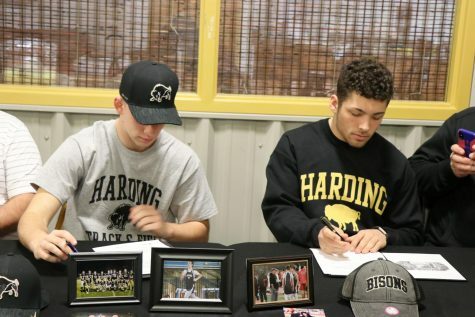 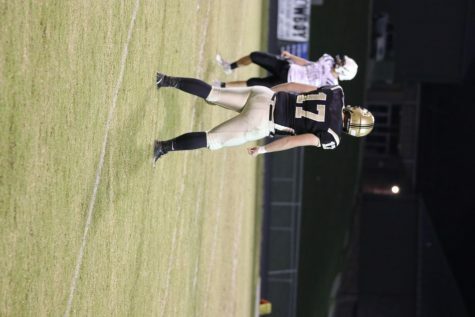 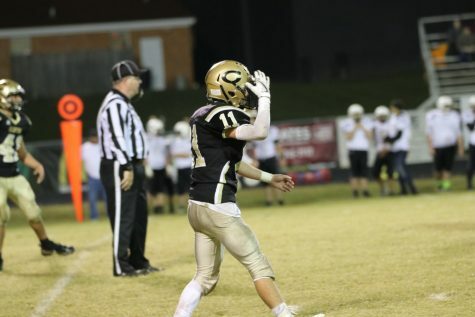 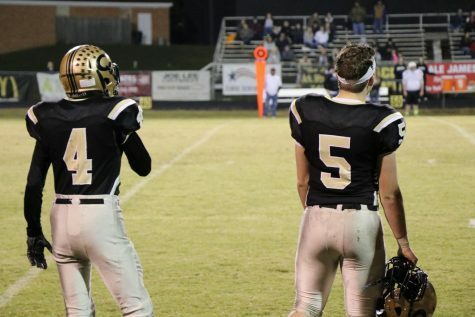 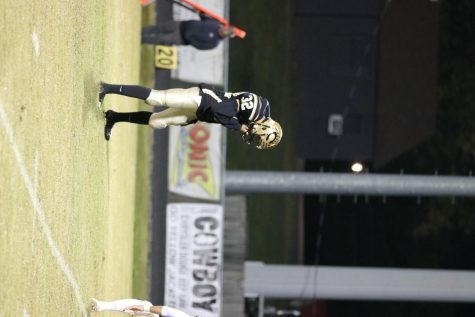 All of Amos’s passes went to Seniors: Davidson caught 2 passes for 42 yards and a touchdown, Gresham had one catch for 20 yards, and Ryley McDonald had one reception on the night for 10 yards and a touchdown. 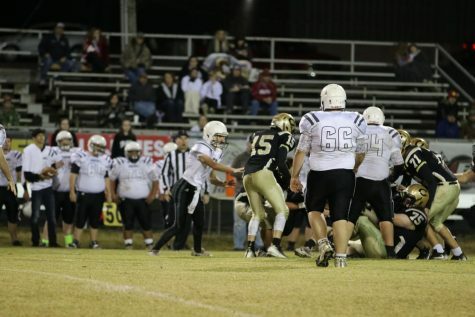 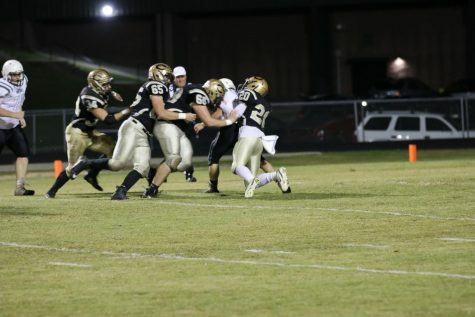 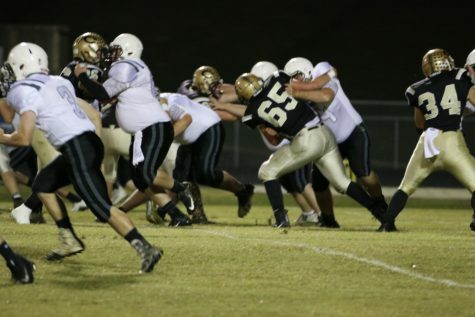 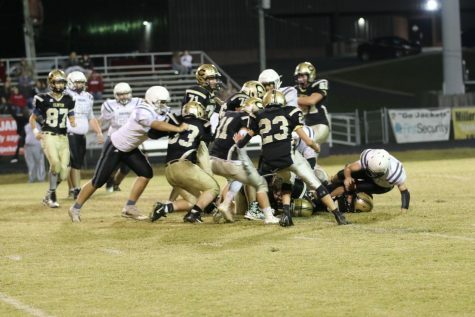 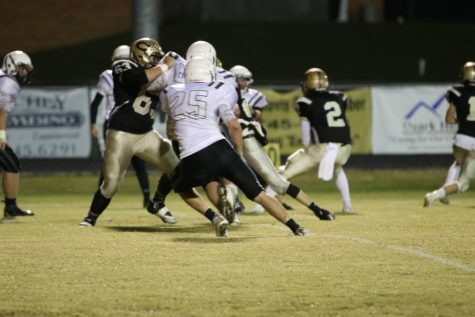 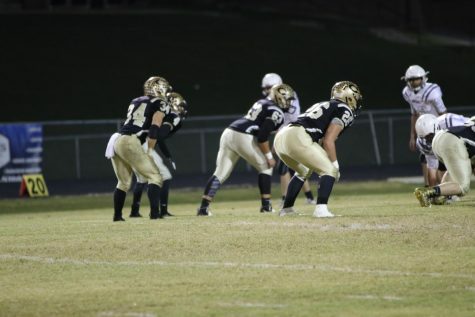 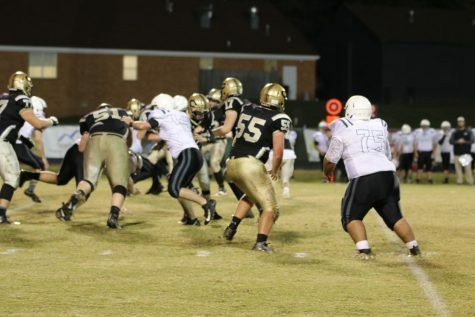 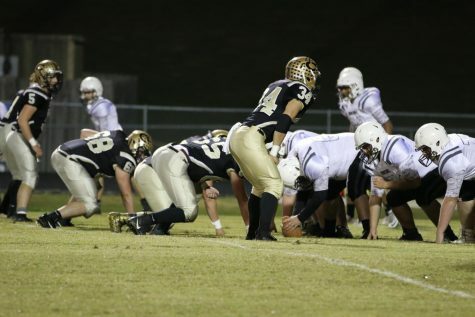 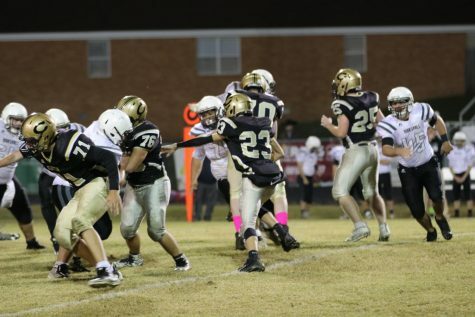 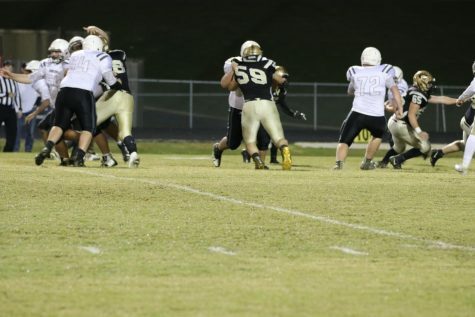 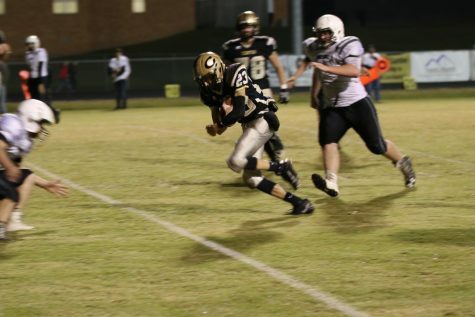 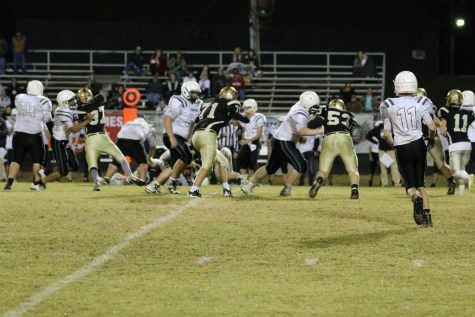 The Jackets defense forced two late 4th quarter turnovers to finalize the shutout. 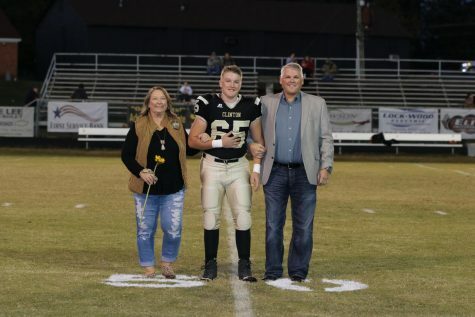 Senior Chris Tollar had his first career fumble recovery, to go along with Hagerman’s first career interception as time expired. 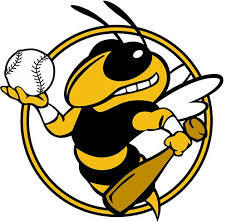 The Jackets not only solidified first seed going into the state tournament, but also secured home field advantage for at least the first 2 rounds. 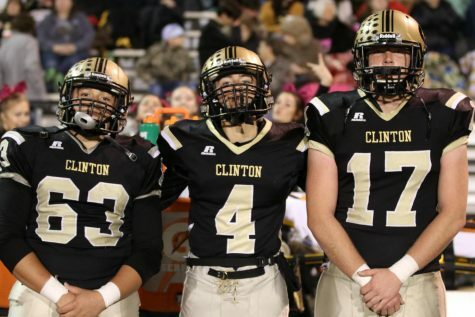 Clinton has now won 19 straight regular season games in the last two years, and are 21-1 in their last 22 games. 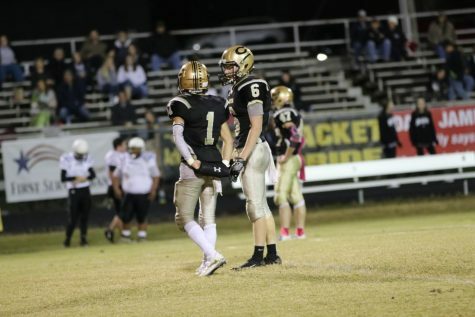 The Jackets will travel to Mountain View to play their last regular season game this Friday against the 2-6 Yellowjackets.